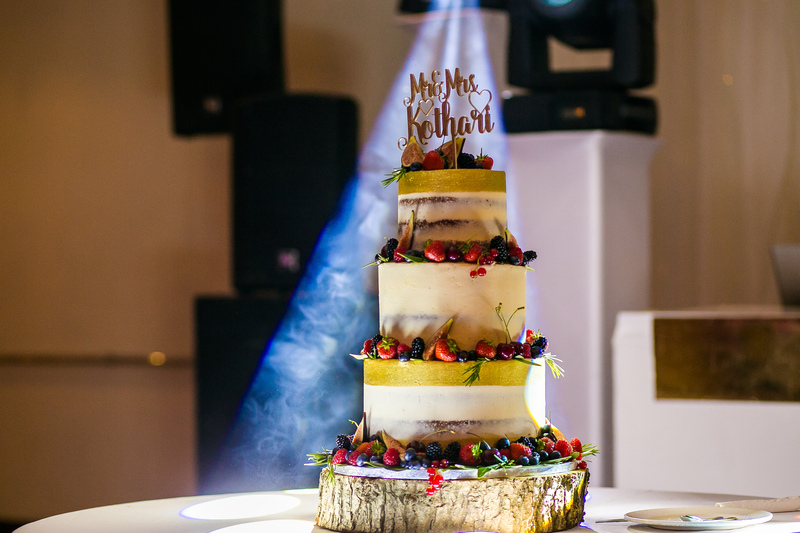 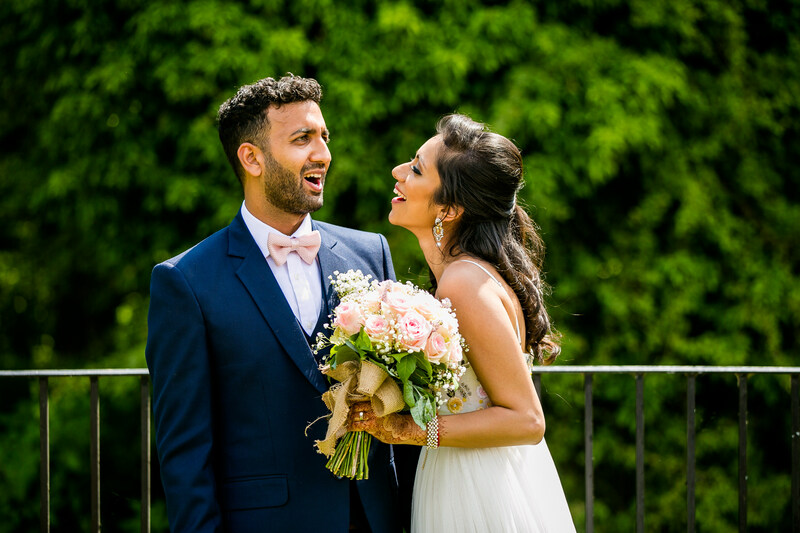 “So sorry it’s taken us so long to write this but we just wanted to say a massive thank you for all your work at the wedding and reception (and sorry for keeping you so long on your birthday too!). 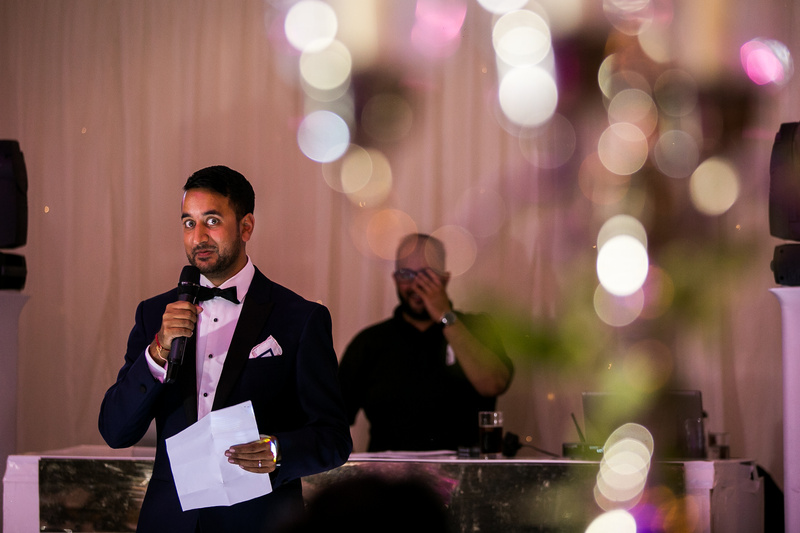 You’ve been amazing to work with and we really appreciate it, we know you went above and beyond and ended up staying quite late on both days. 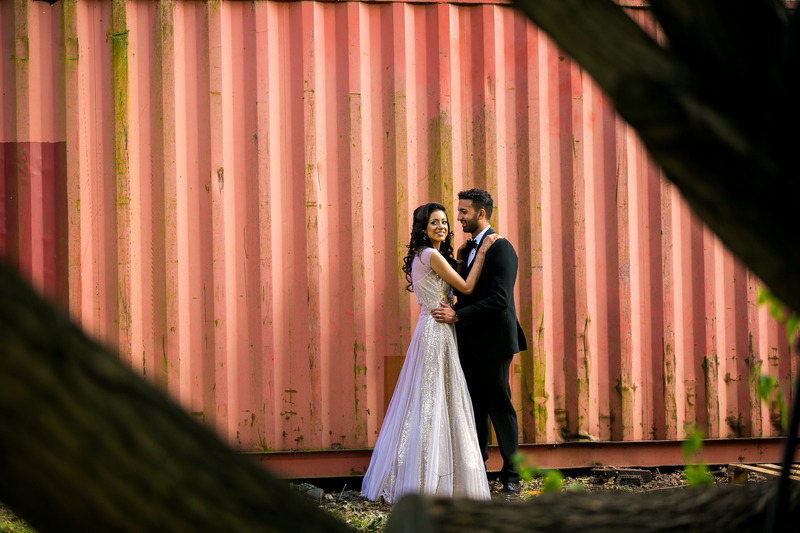 We loved the pre-shoot photos and so cannot wait to see the wedding/reception photos, especially if the instagram pics are a sign of what’s to come. 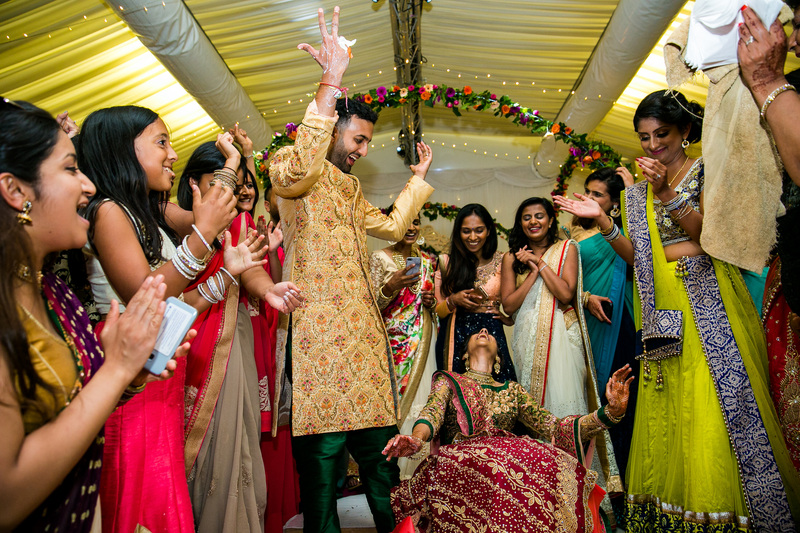 ” – Aarti & Tiral. 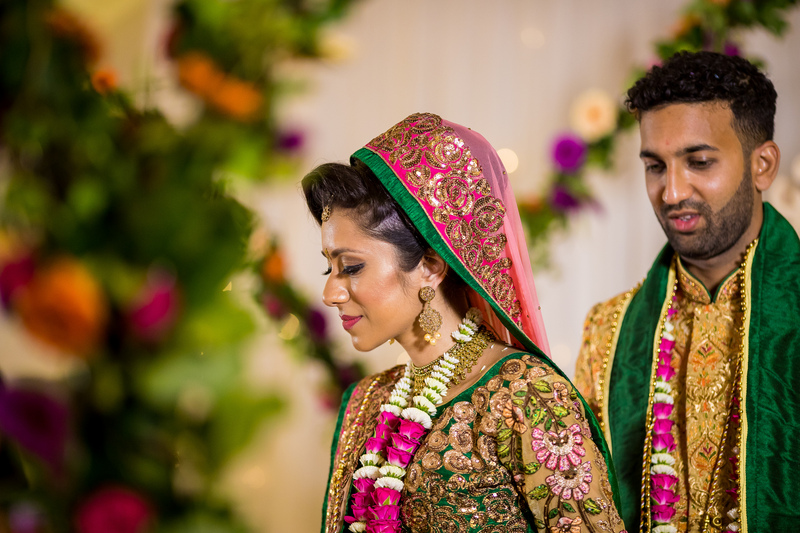 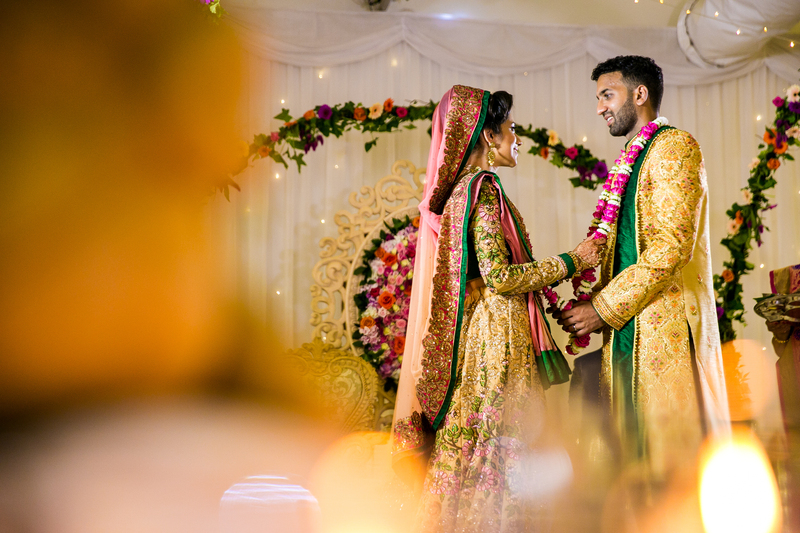 This was one wedding that I could not wait to share as I loved the energy, colours and every other detail that went along with this amazing couple’s big day. 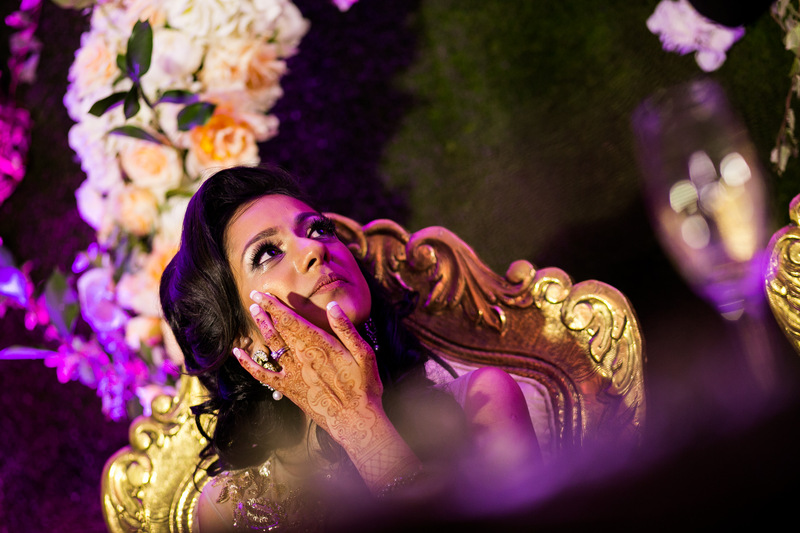 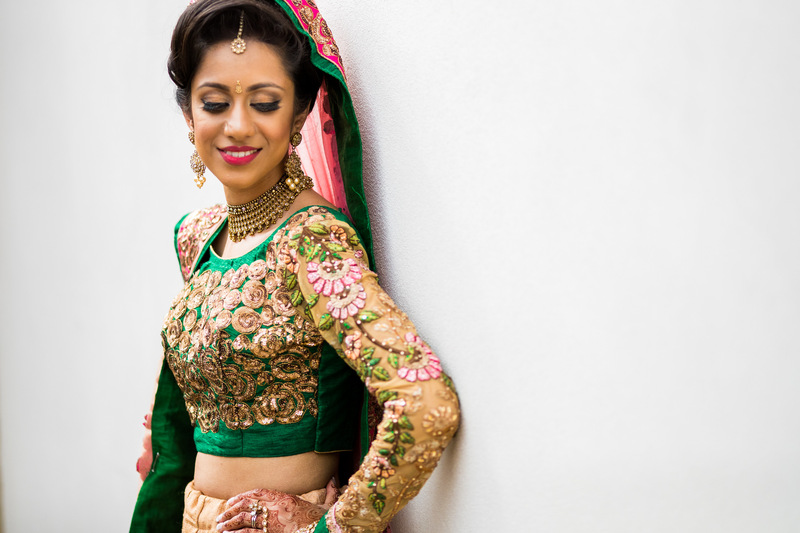 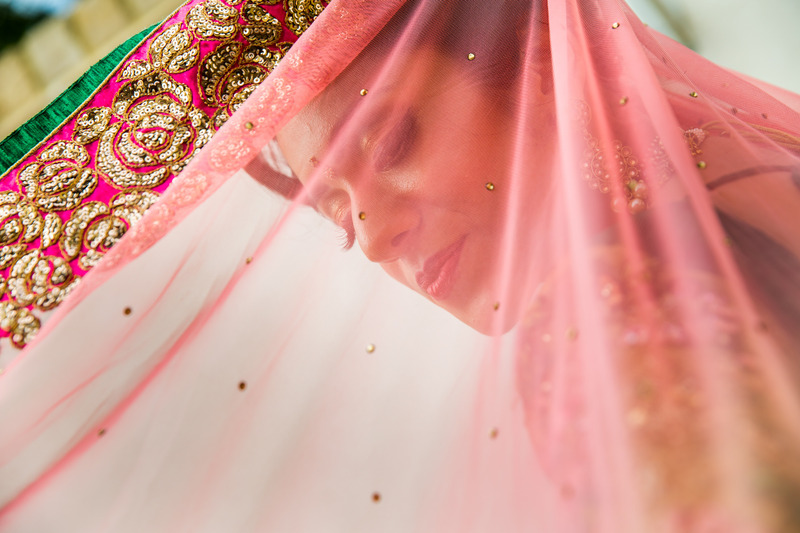 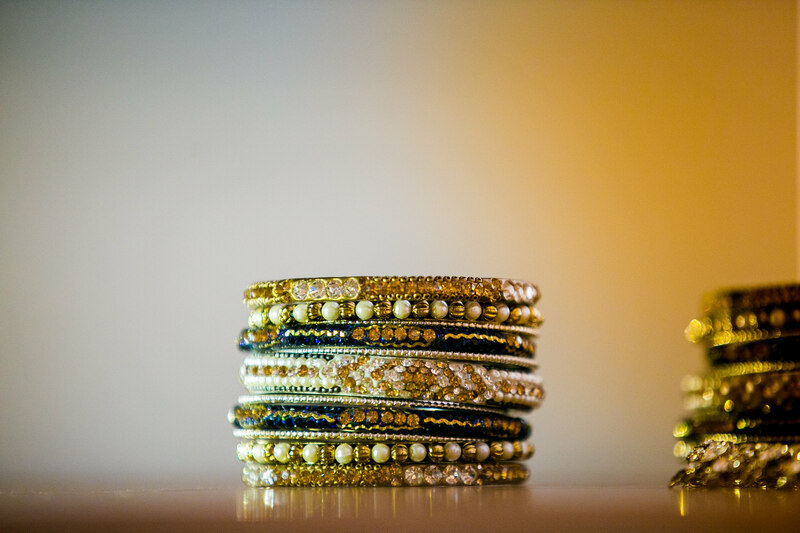 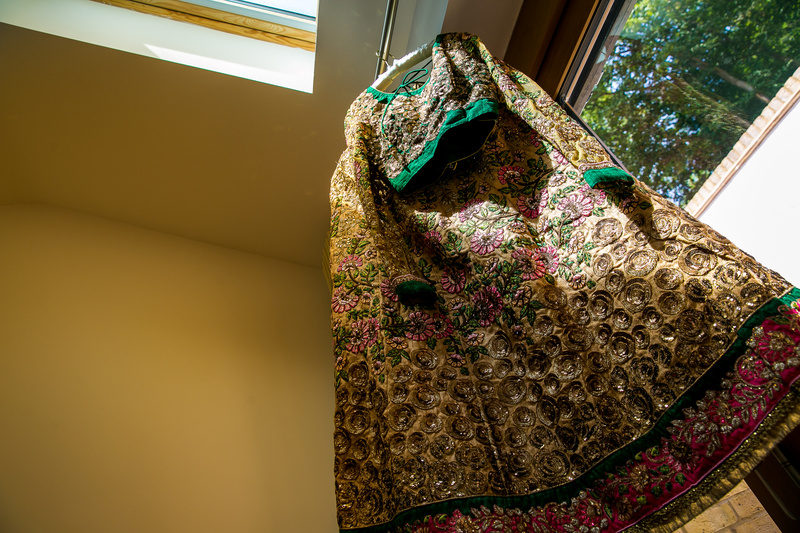 I had known Aarti for a while as I had documented her sister’s wedding five years ago and was thrilled when I was asked to shoot her wedding as well. 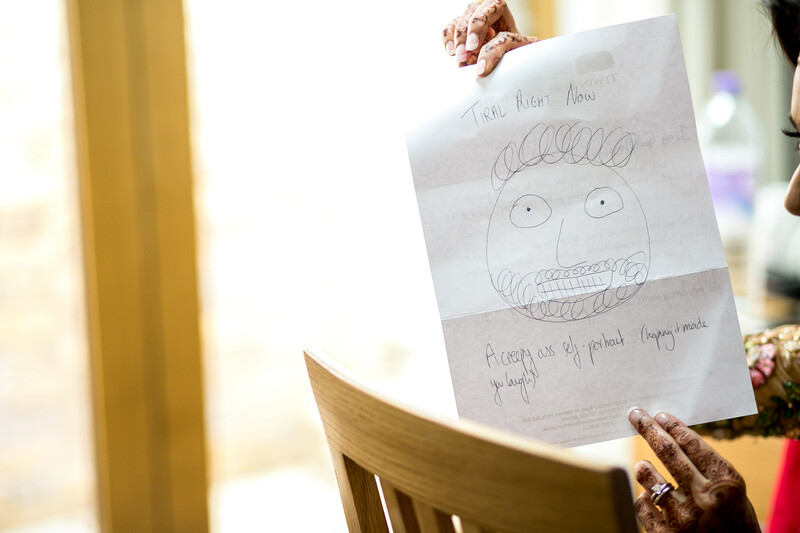 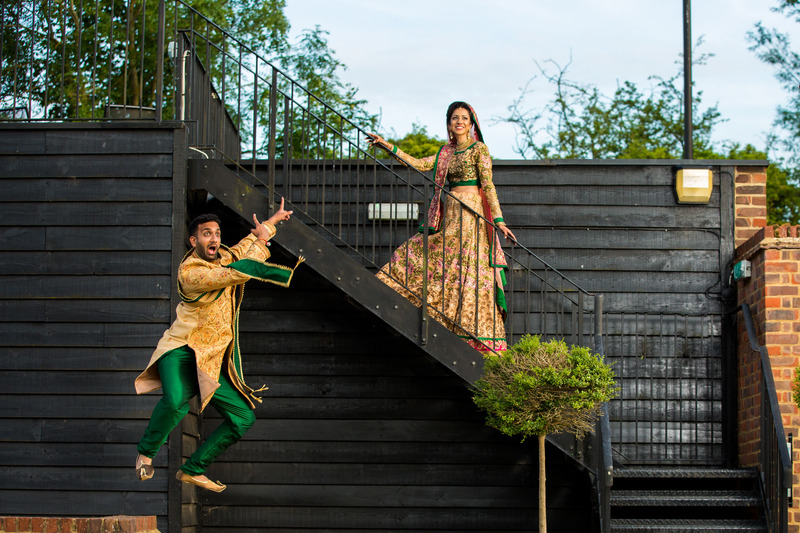 I loved their sense of humour and other little quirky things about them like their fascination for polaroid photos as we managed to take a few during the pre wedding shoot and on the Wedding day as well Tiral’s self portrait which he drew and sent to Aarti in the morning which you will see down below. 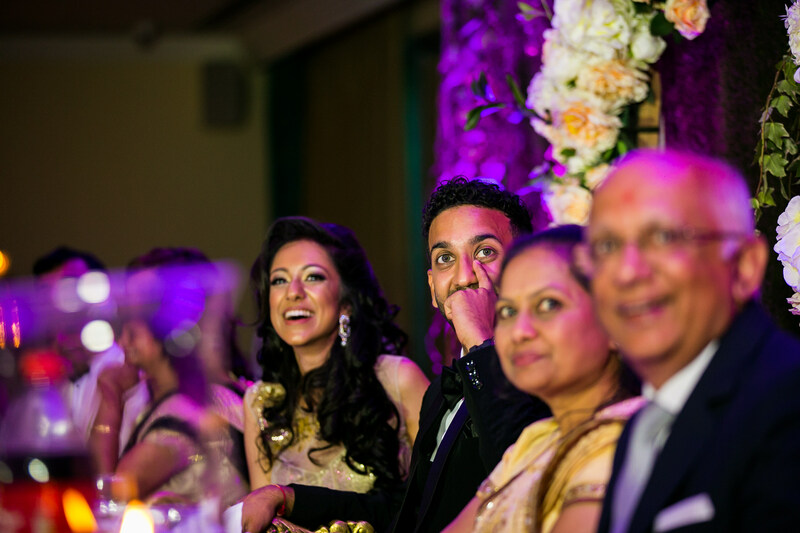 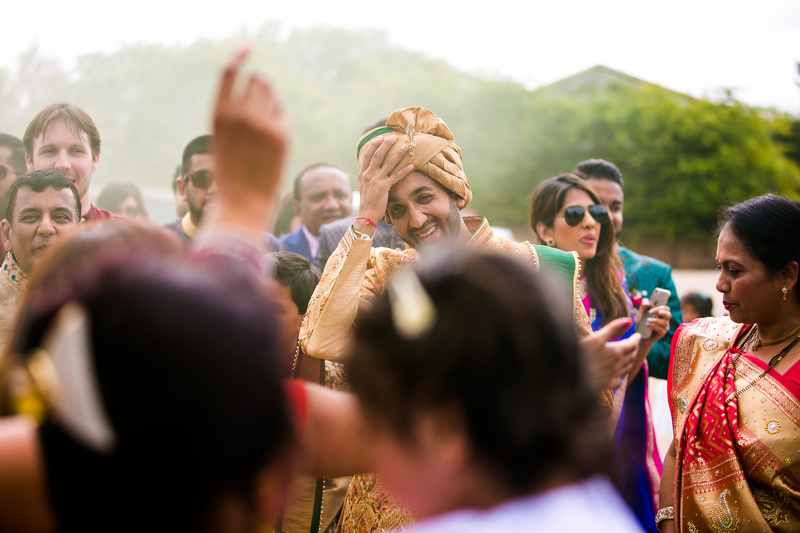 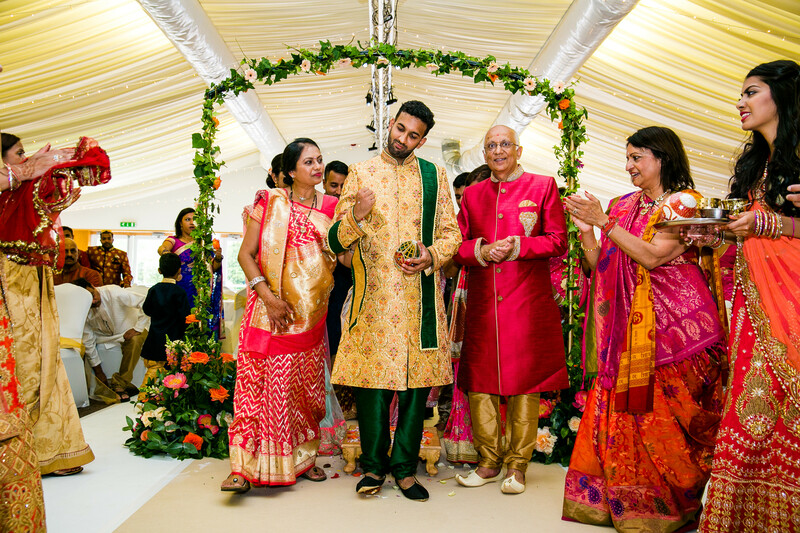 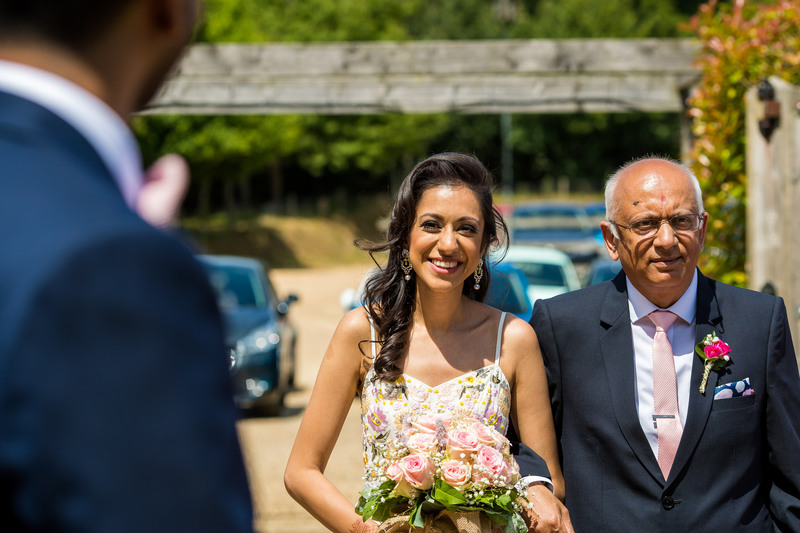 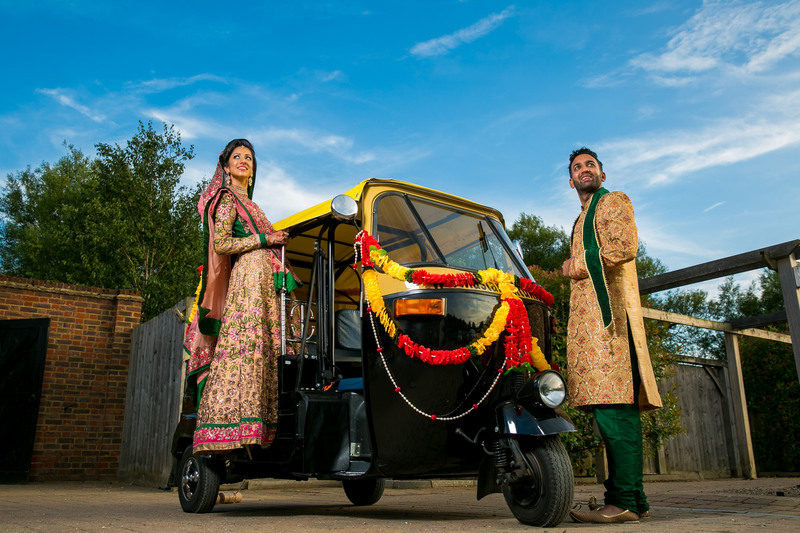 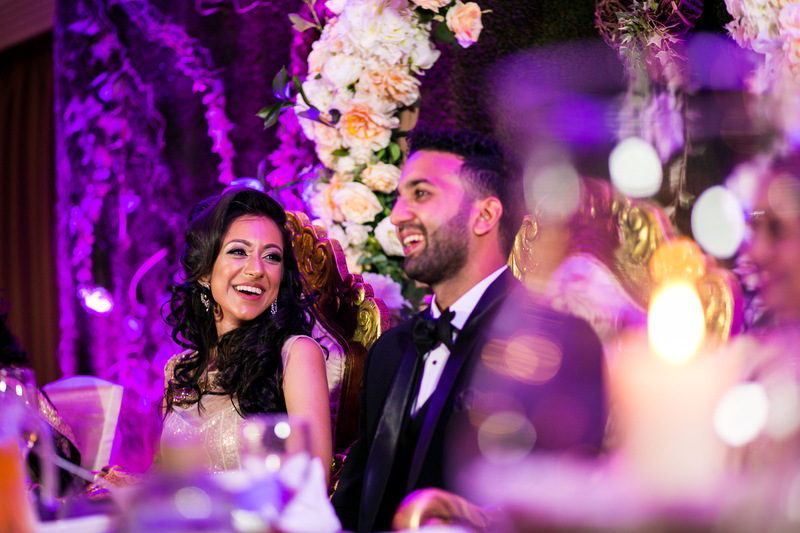 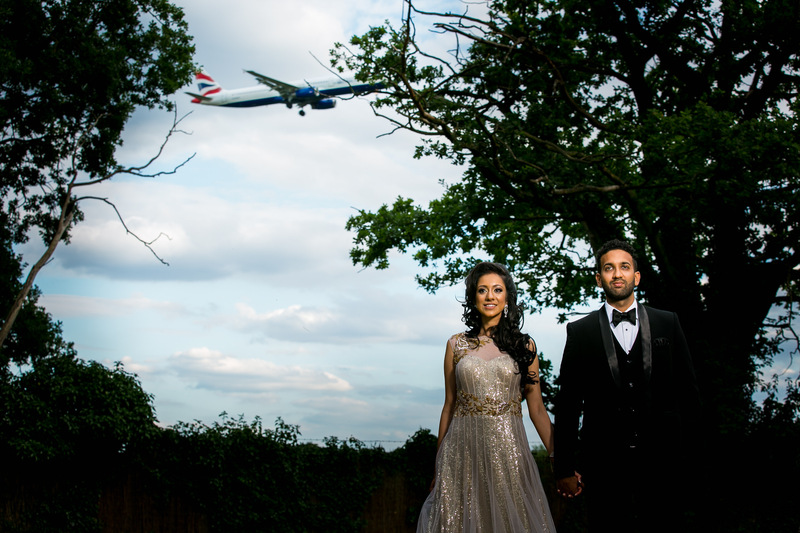 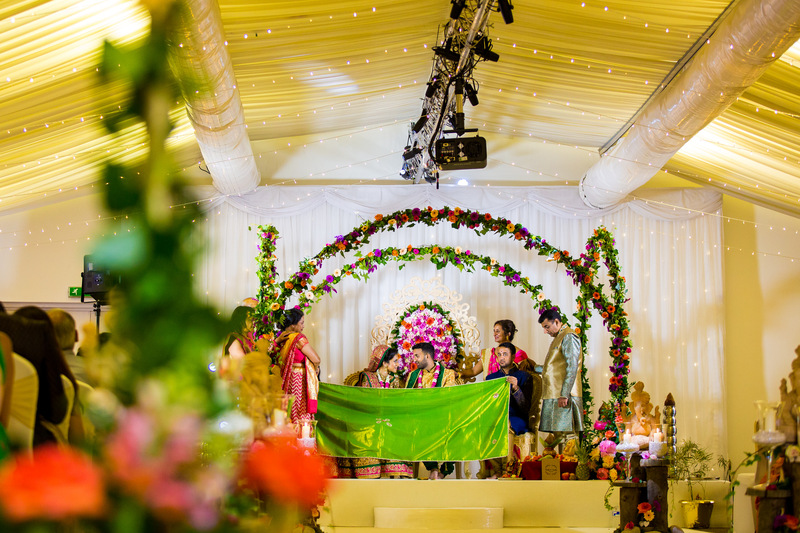 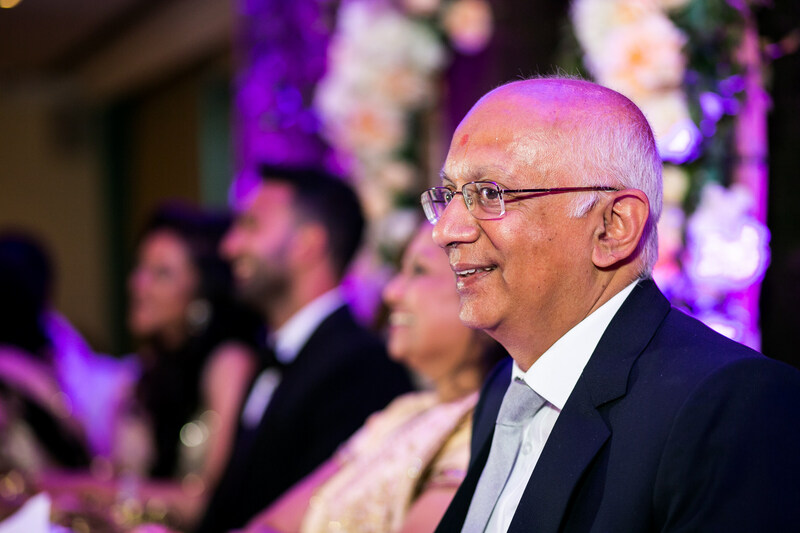 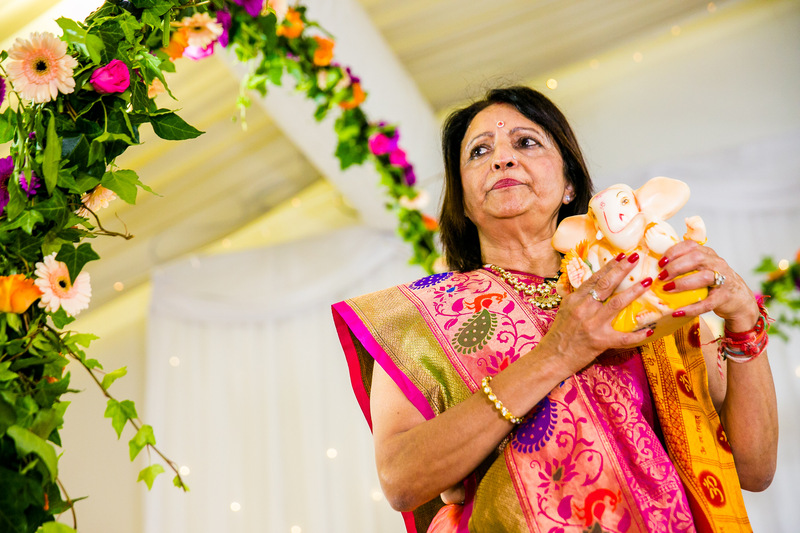 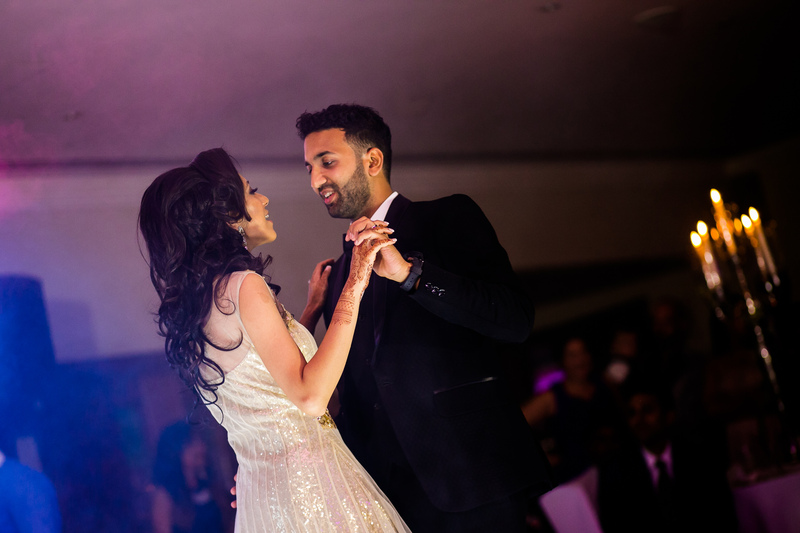 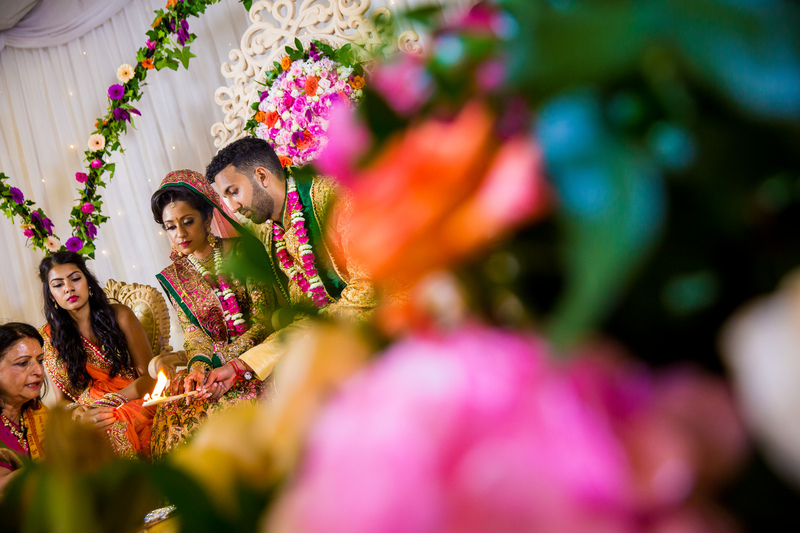 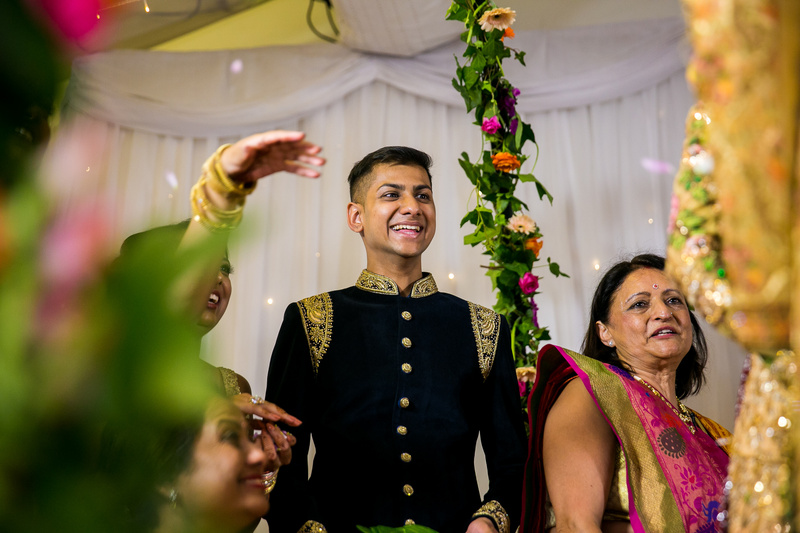 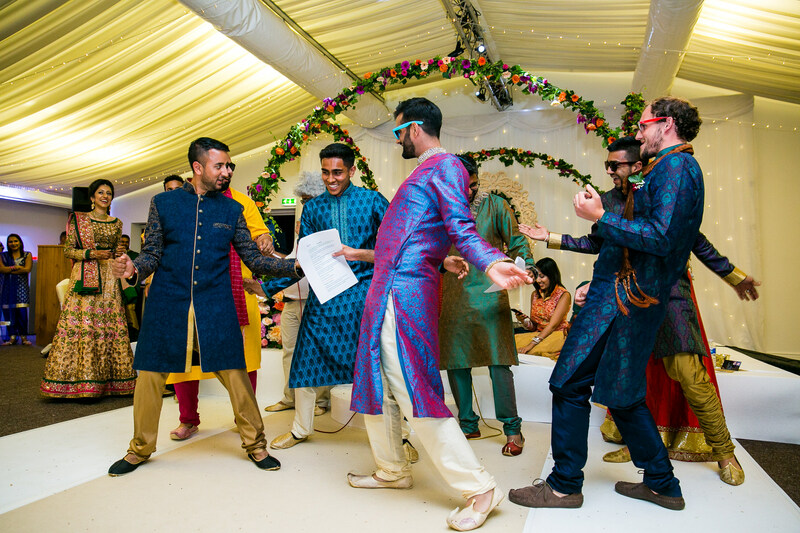 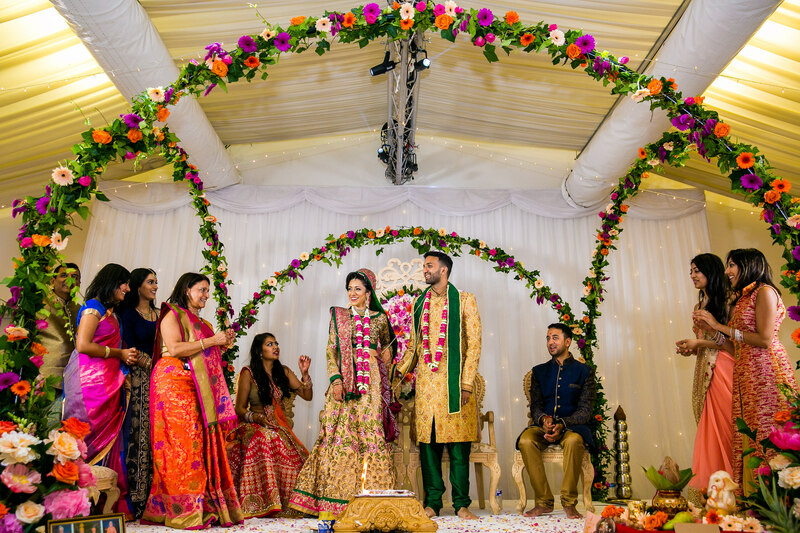 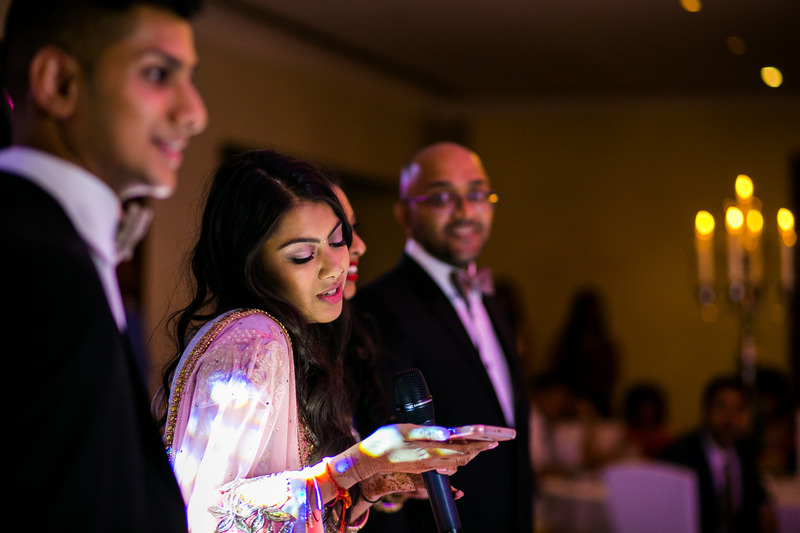 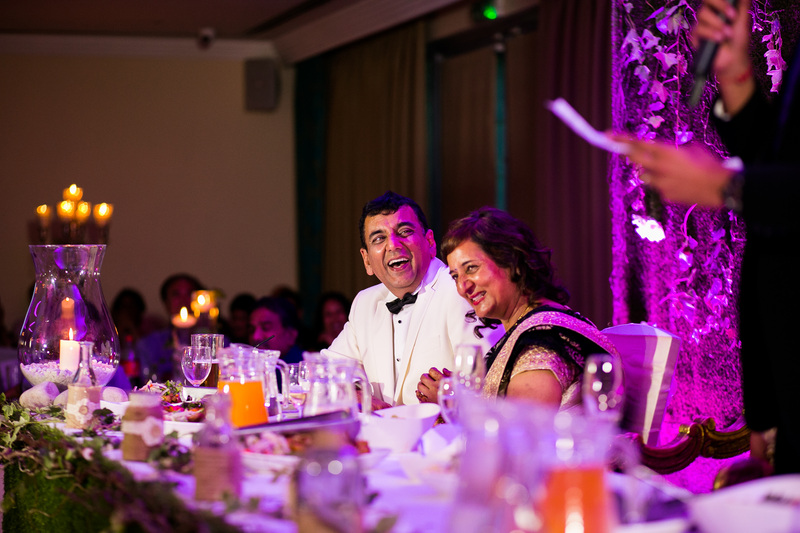 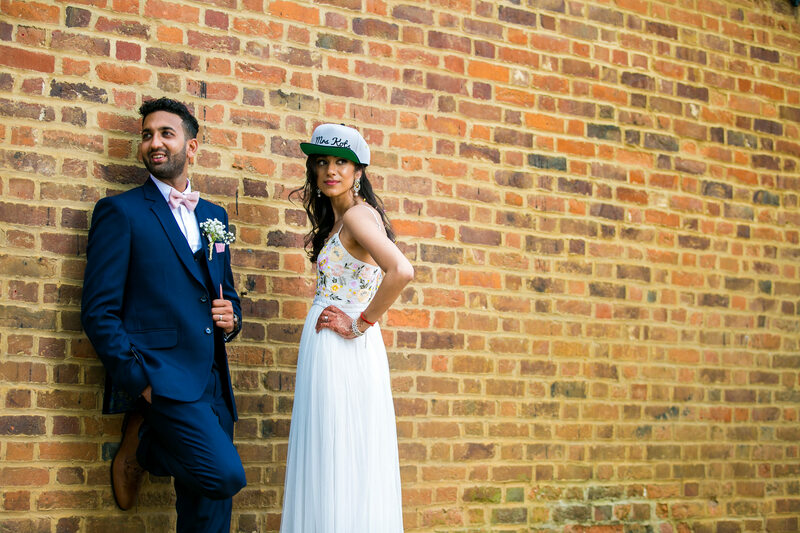 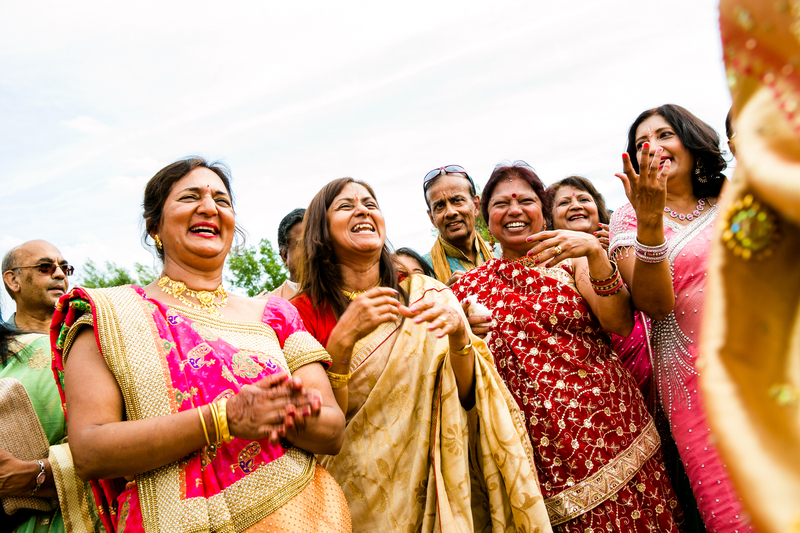 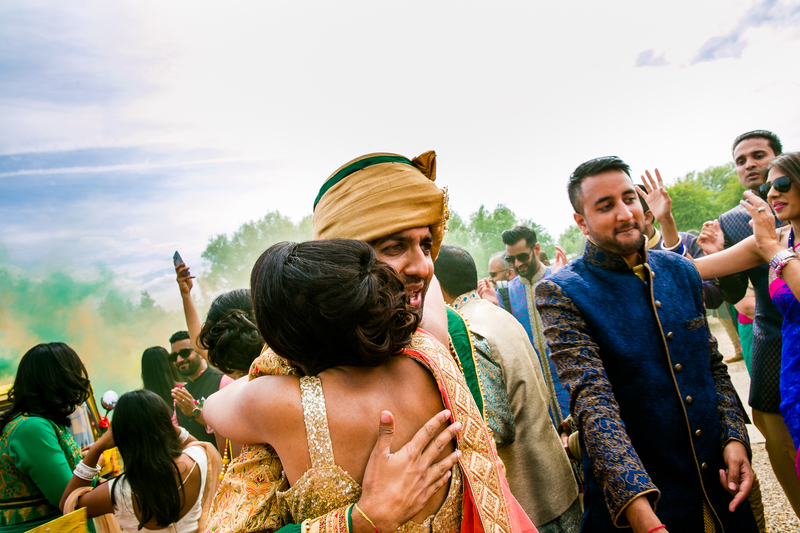 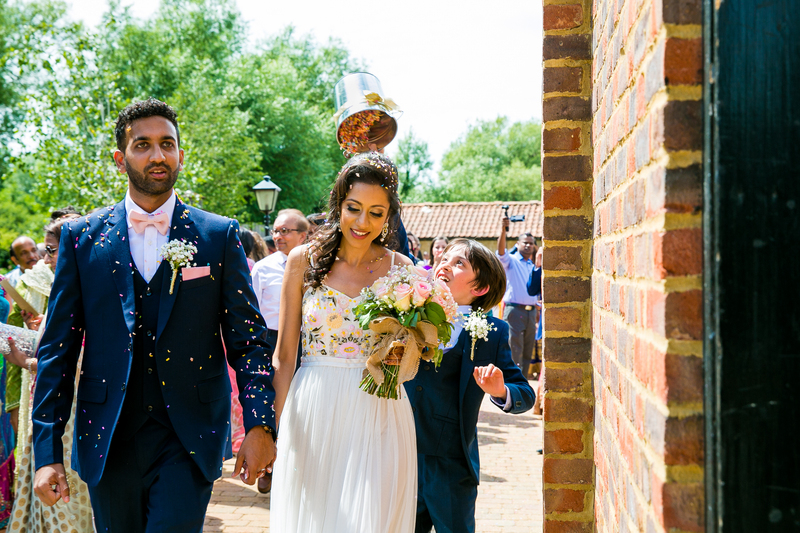 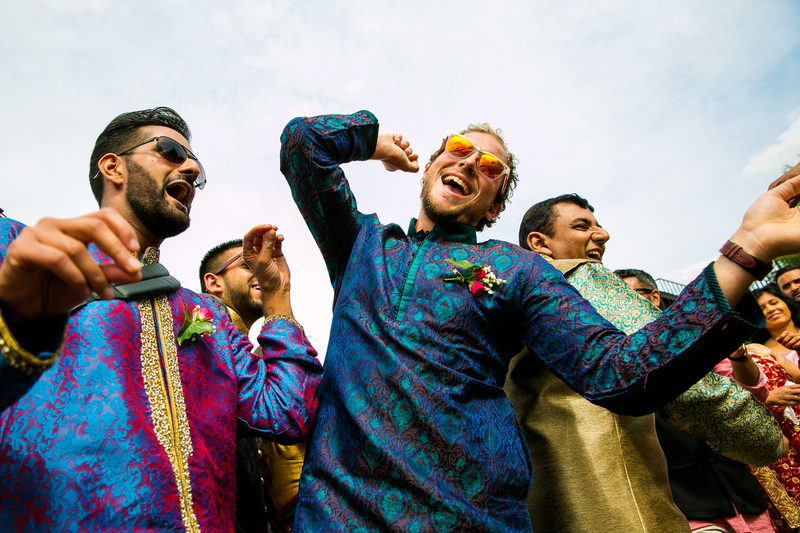 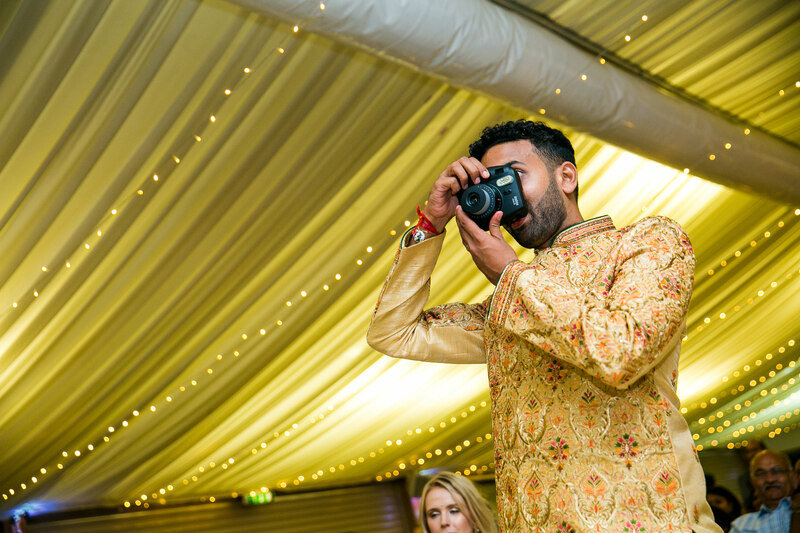 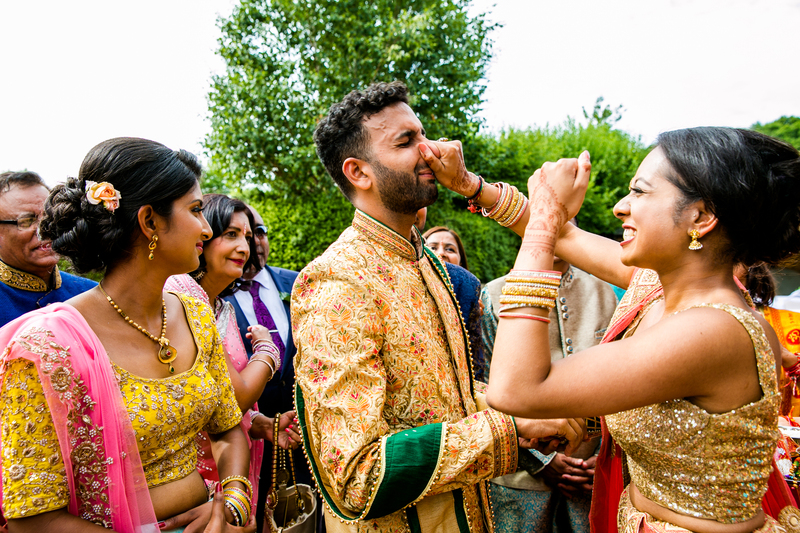 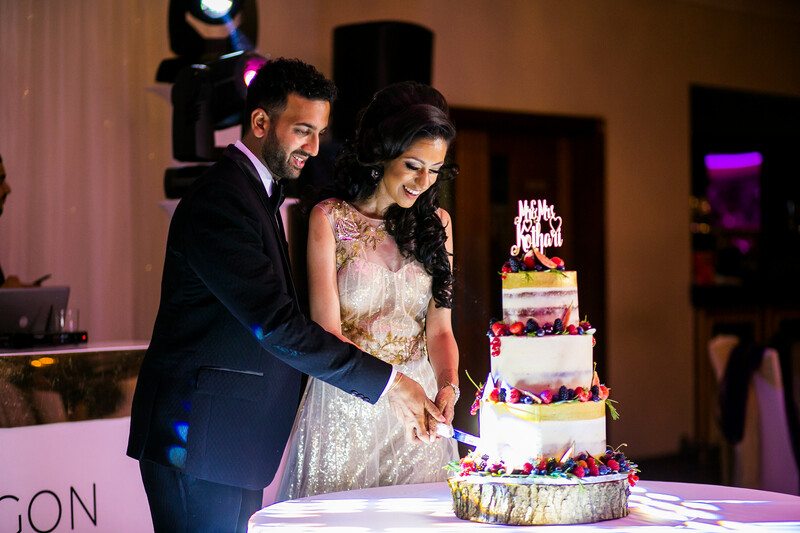 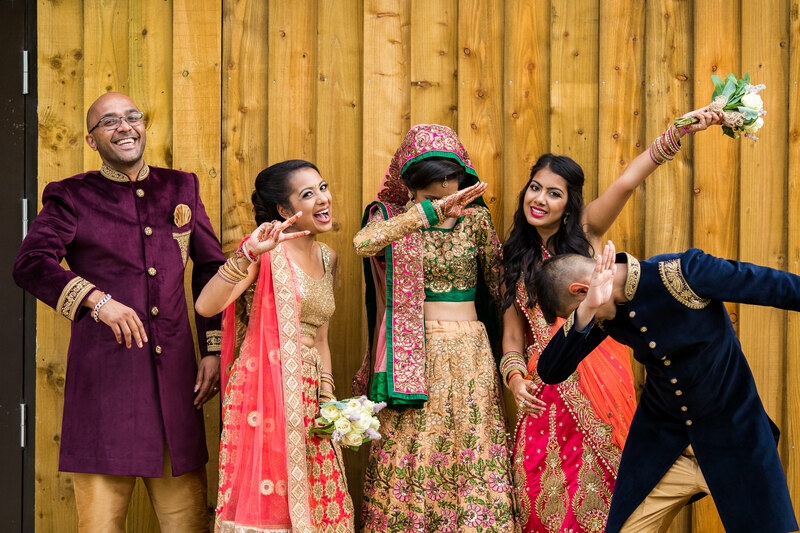 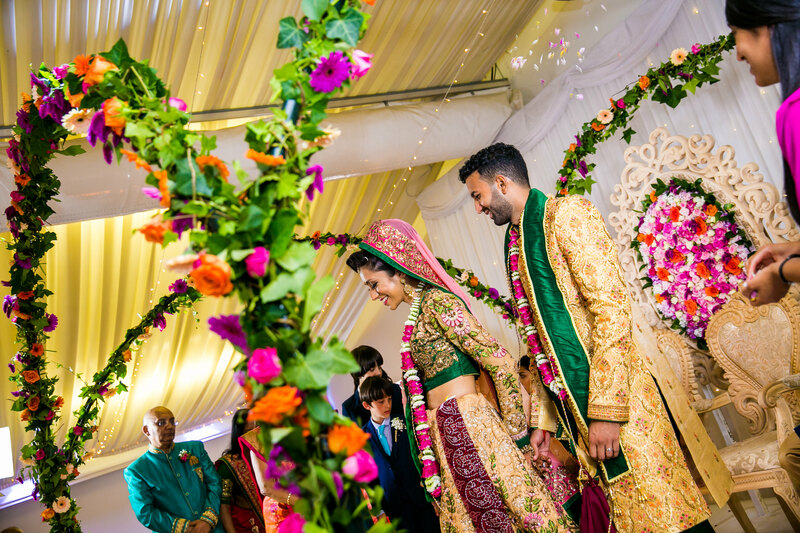 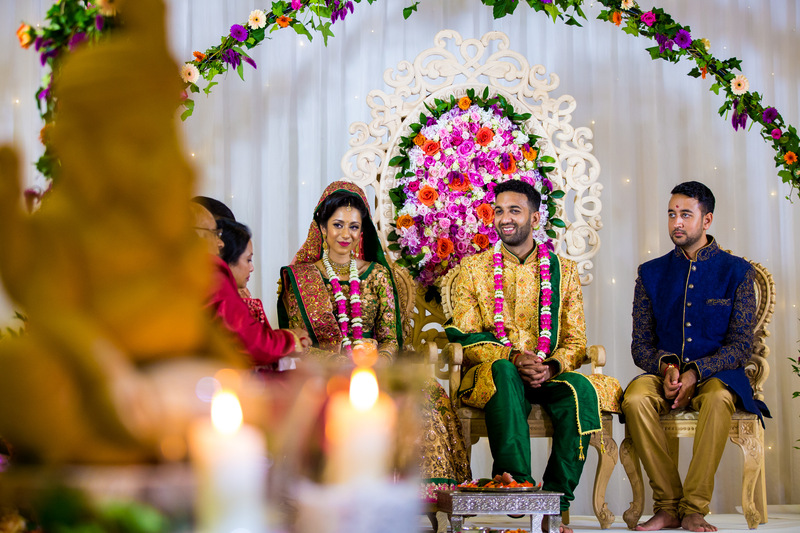 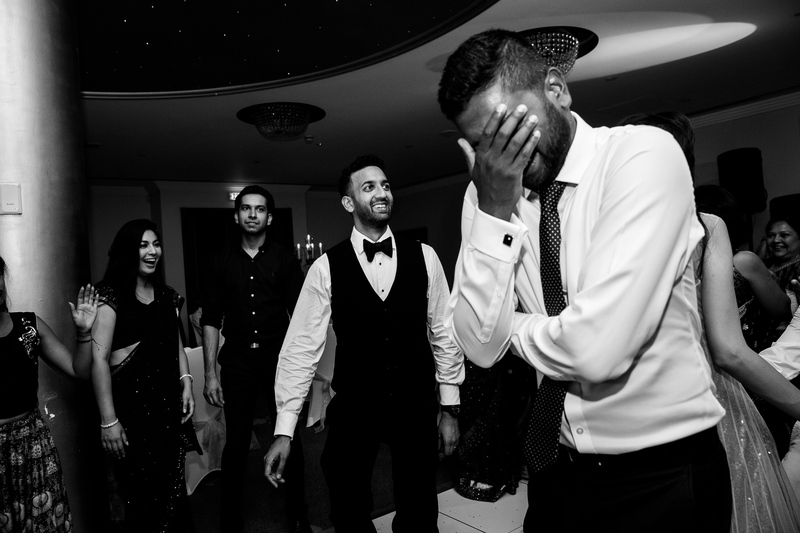 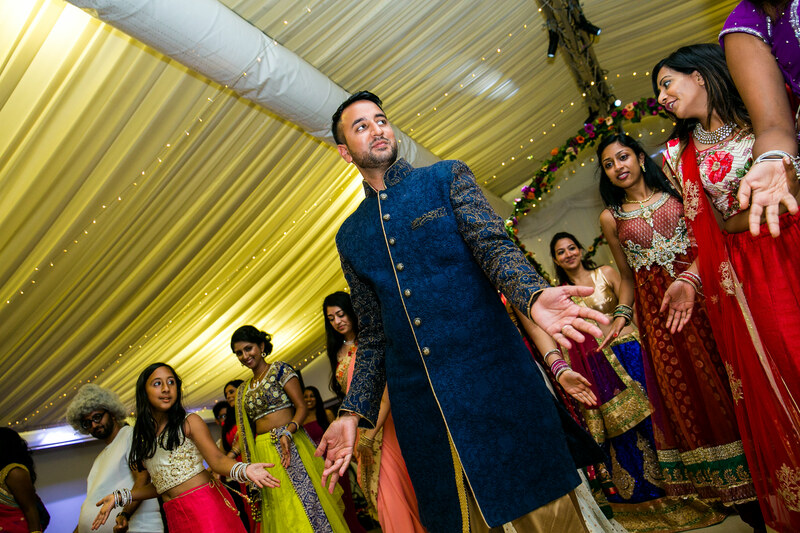 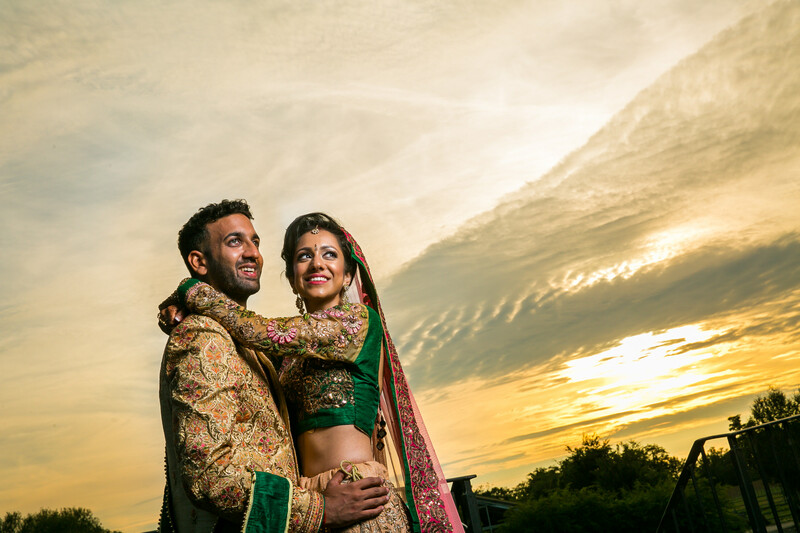 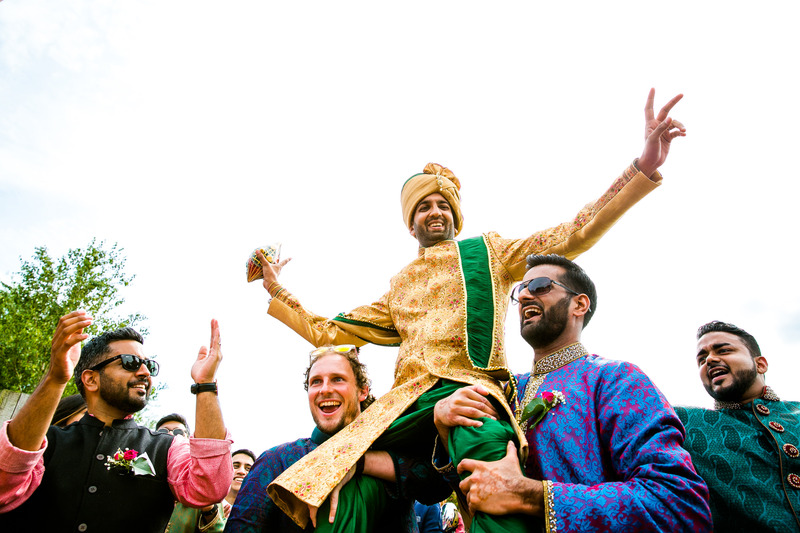 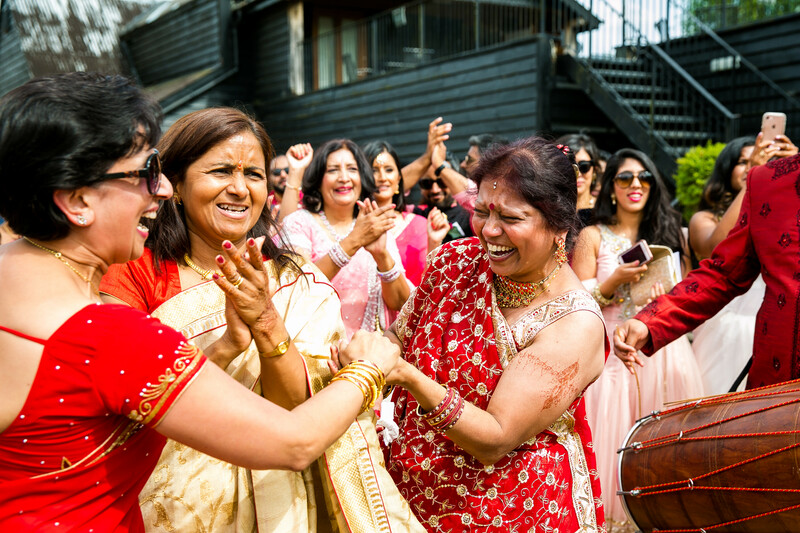 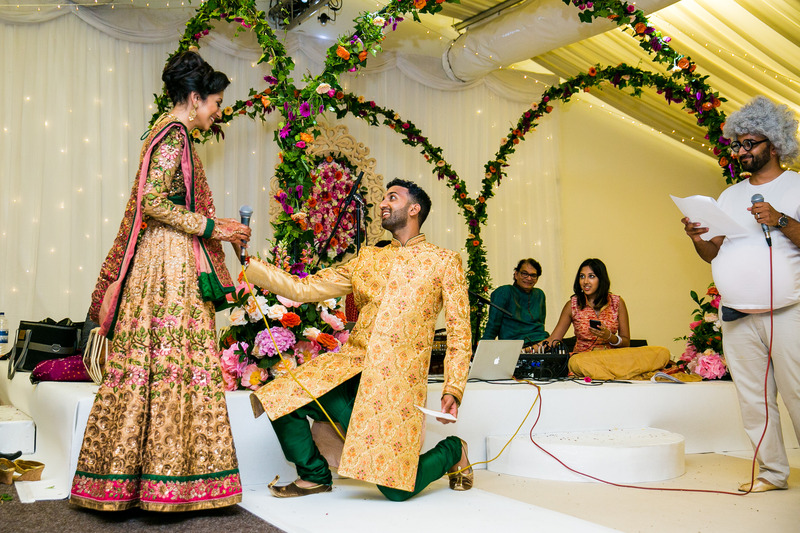 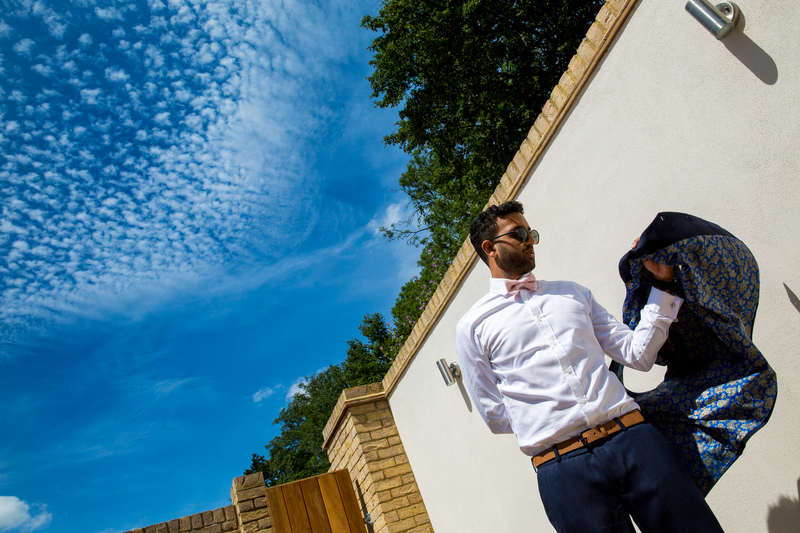 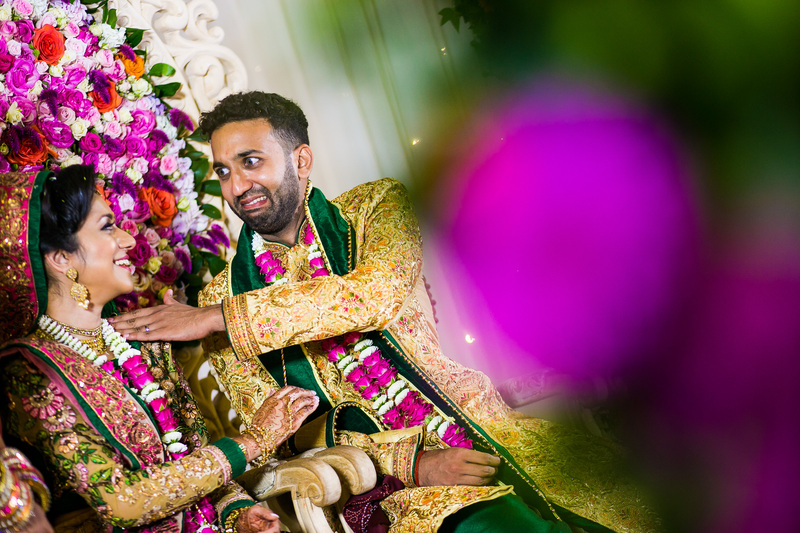 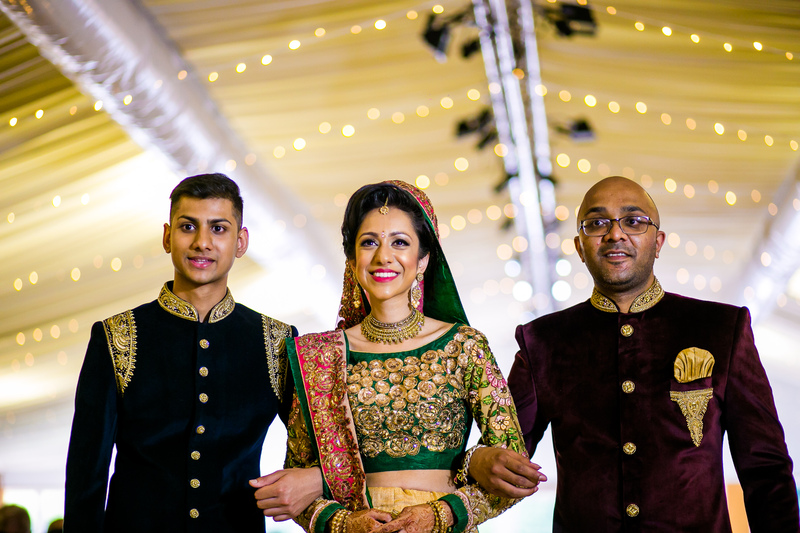 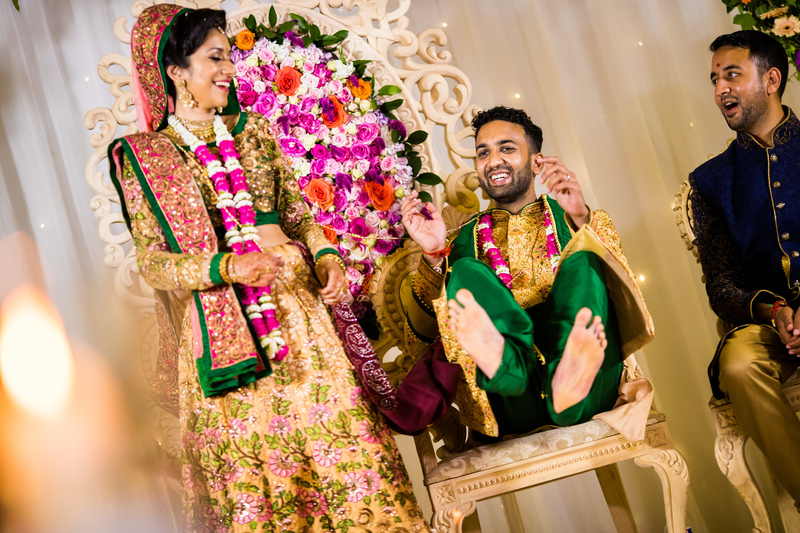 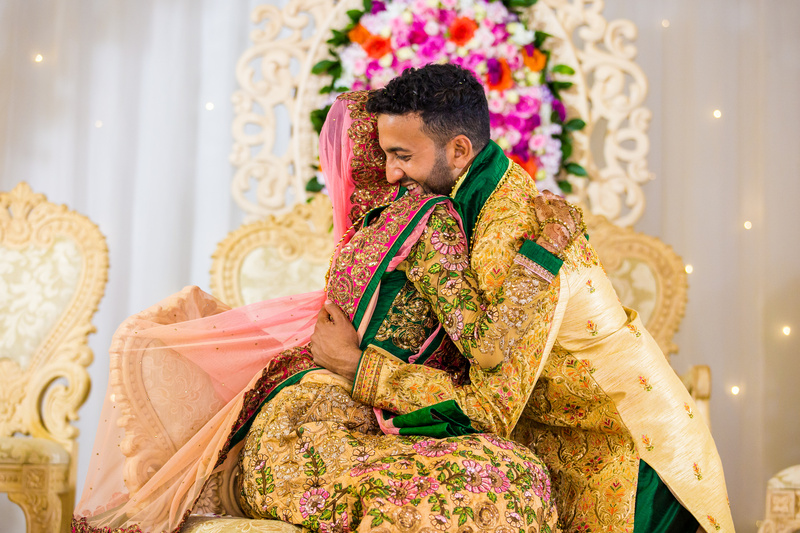 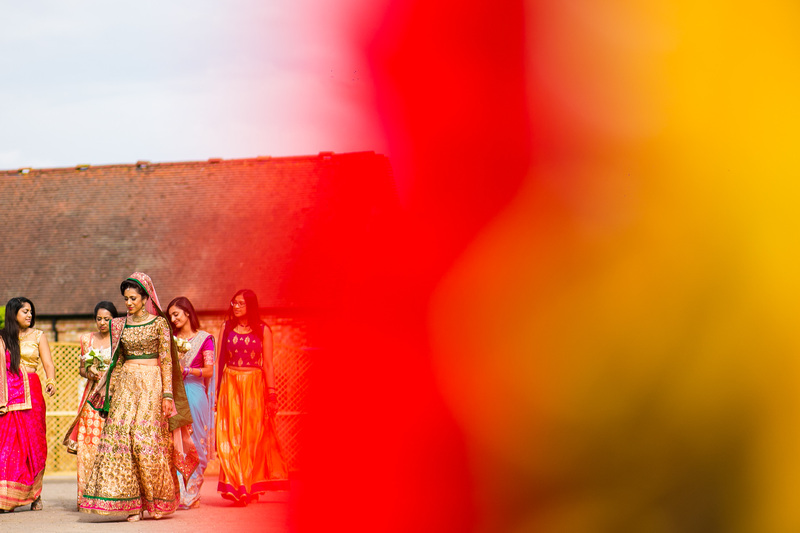 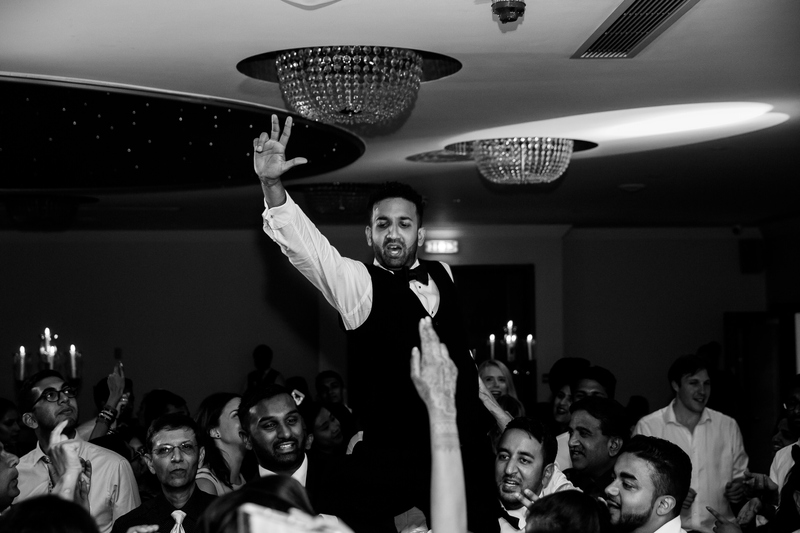 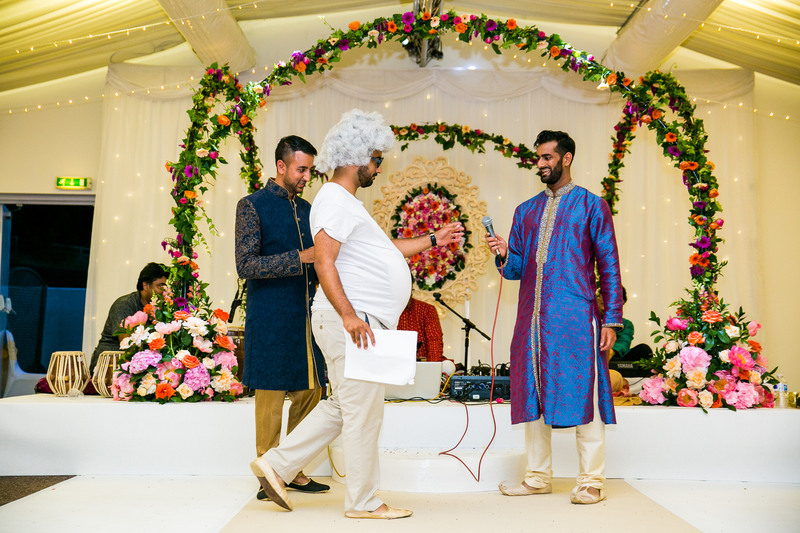 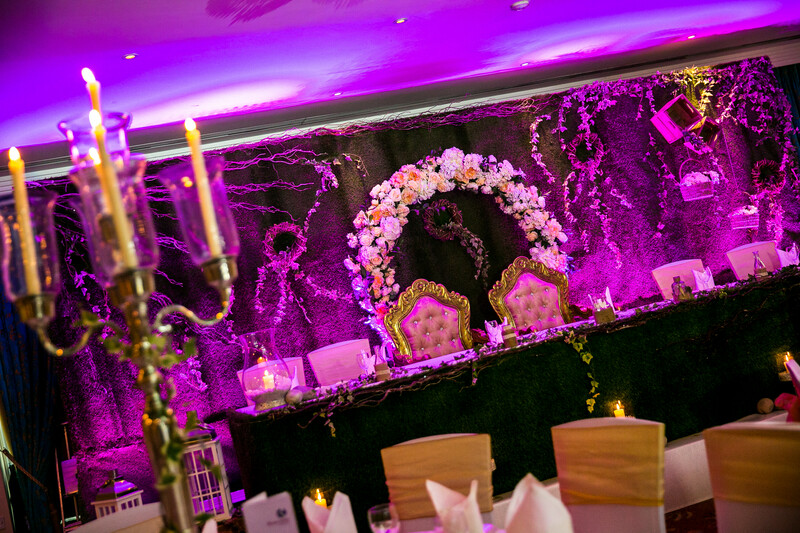 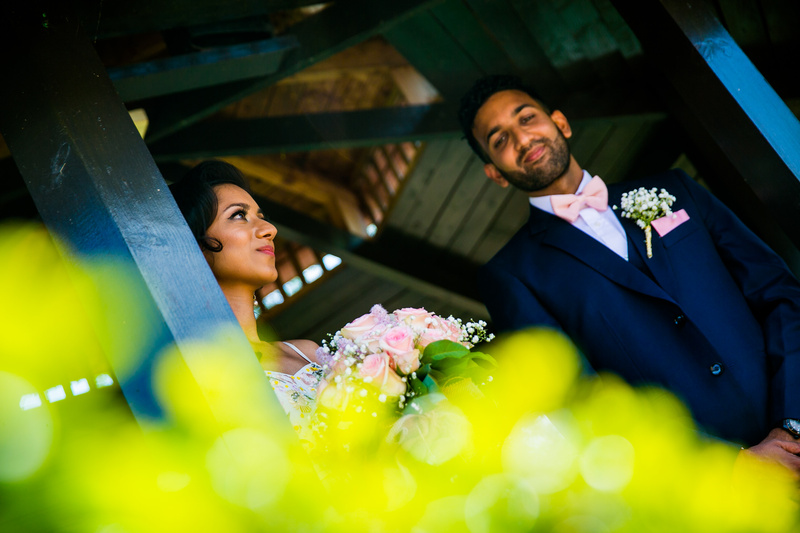 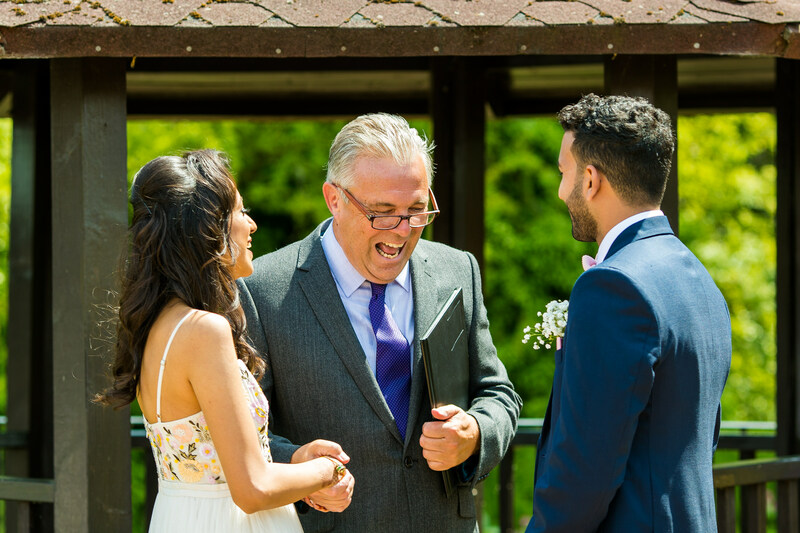 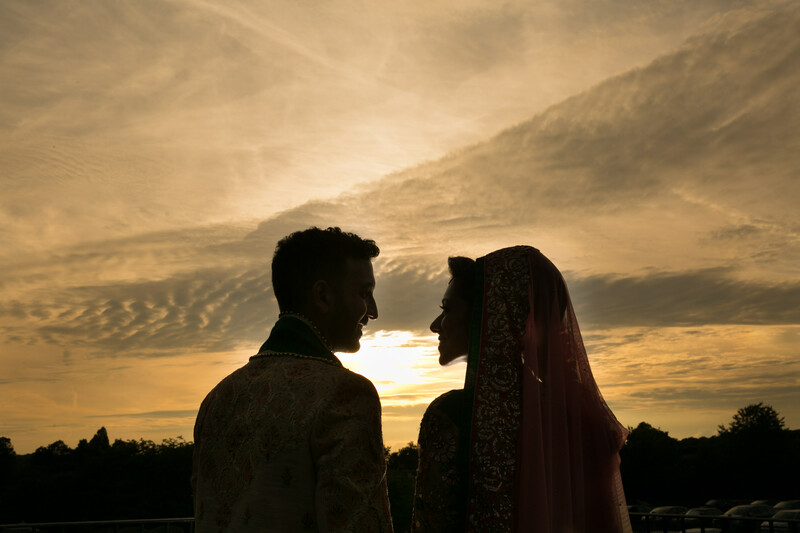 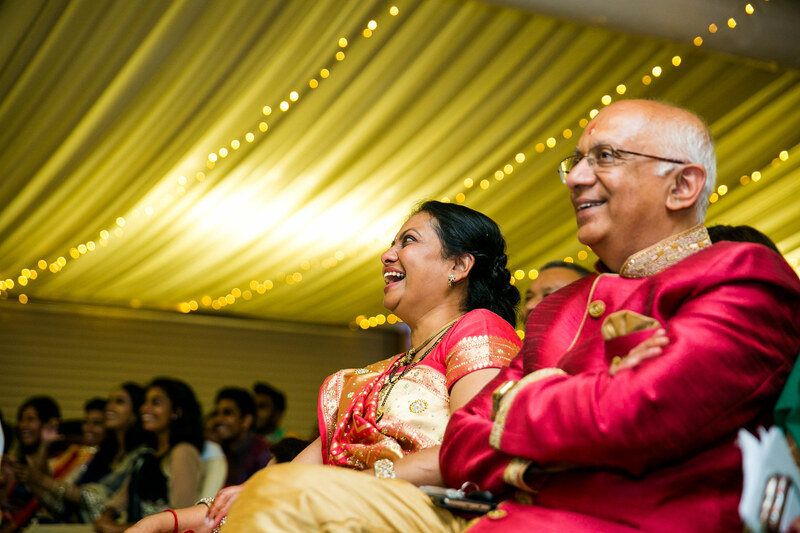 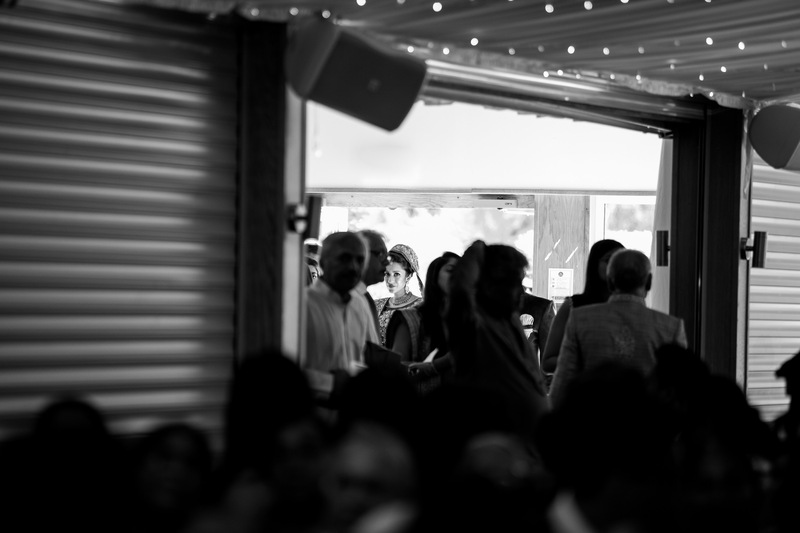 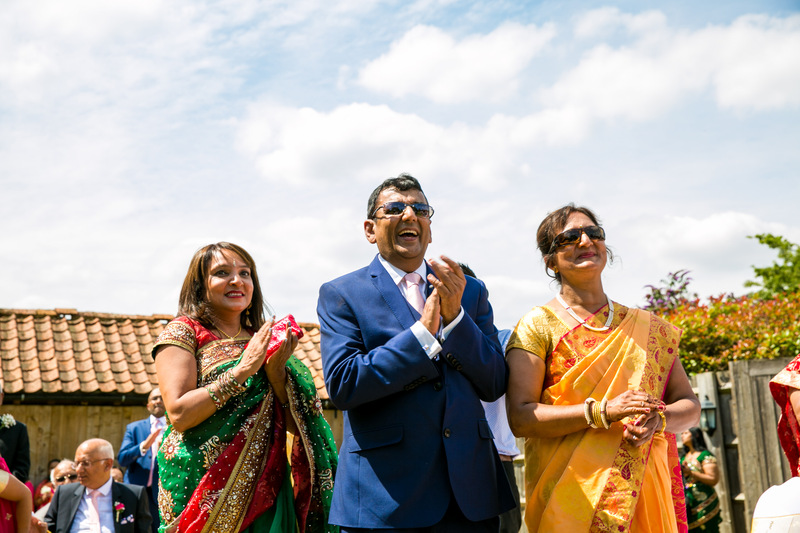 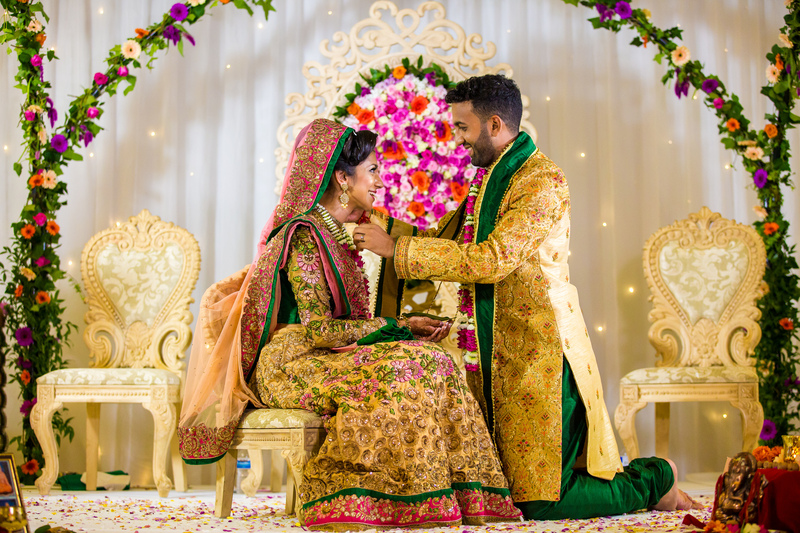 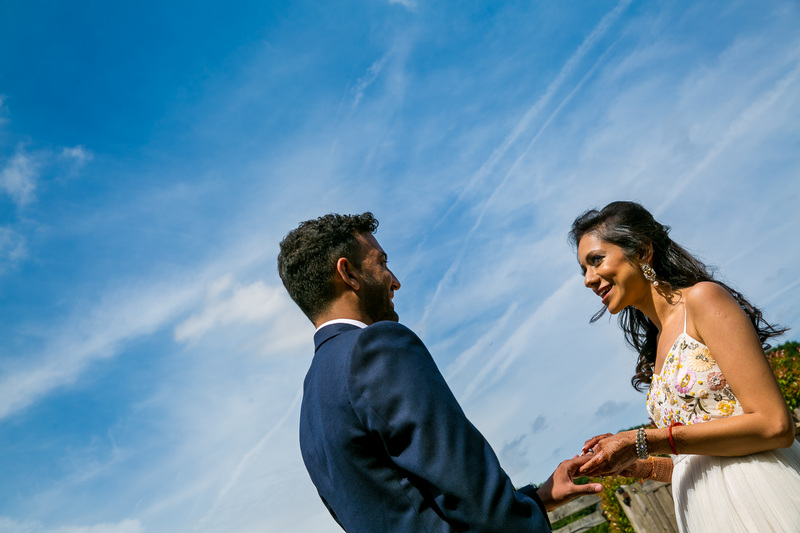 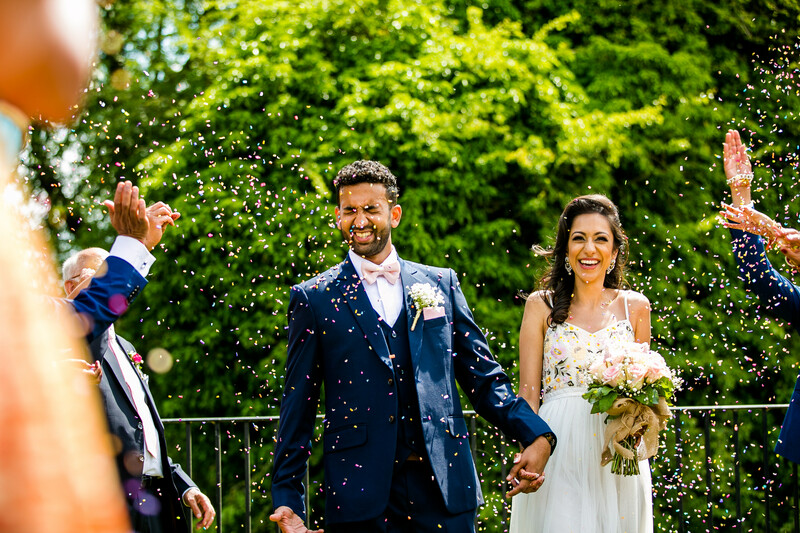 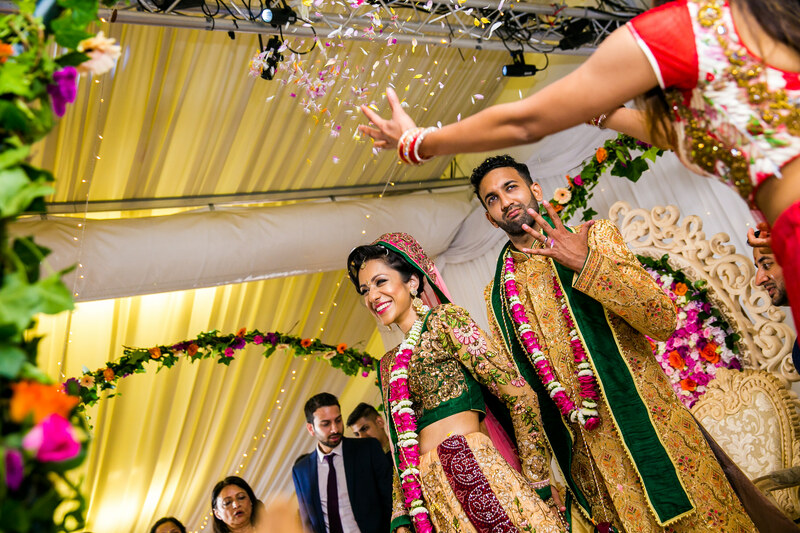 The Wedding was held at Tewin Bury farm which kicked off with a pre wedding ceremony followed by the civil, Hindu wedding and a Sangeet party. 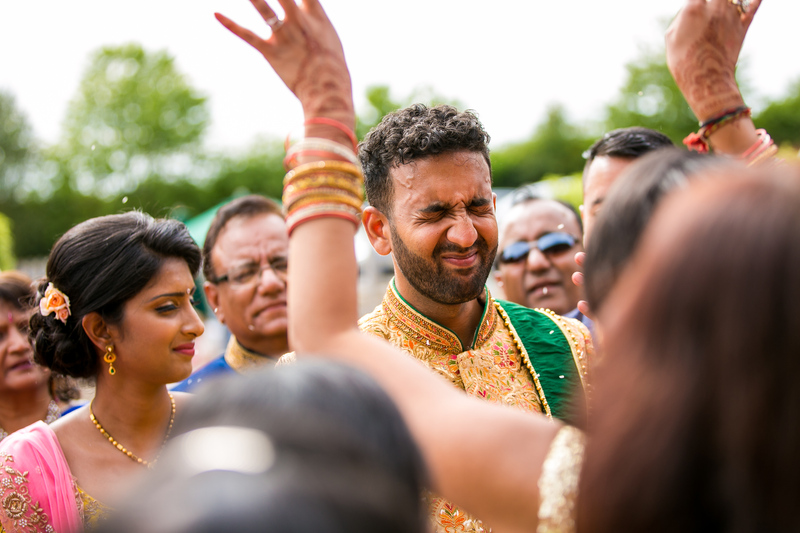 The wedding was during one of the hottest week’s we had this summer and can still vividly feel the heat like it was yesterday. 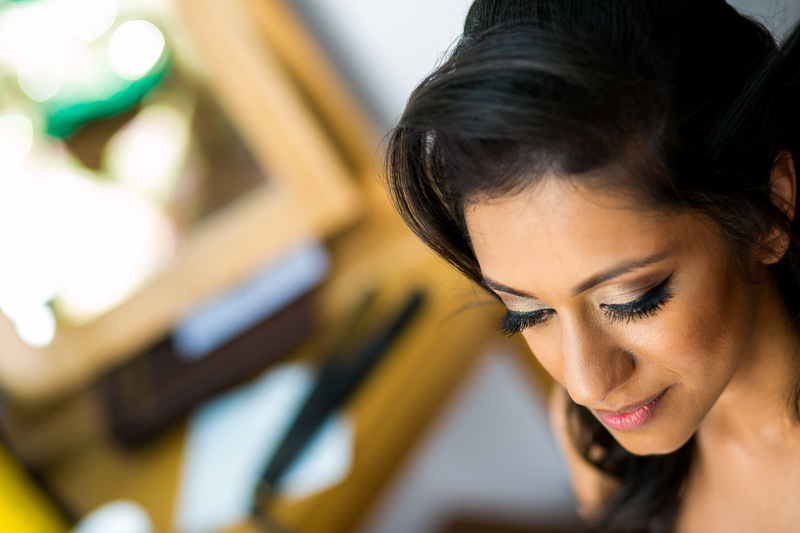 It was quite an exciting day as I got to work with a Hasselblad H4 for some of their portraits which resulted in some stunning images. 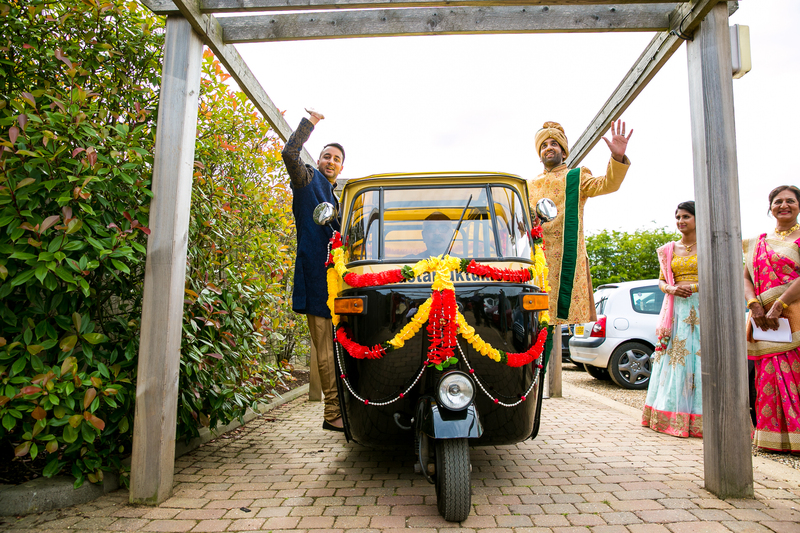 Tiral arrived with his party on a rickshaw letting off coloured smoke grenades which set the scene for a very memorable arrival. 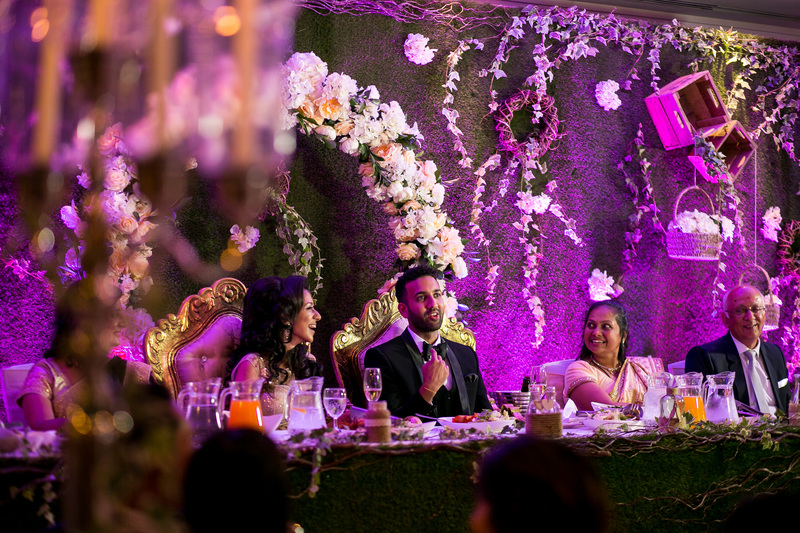 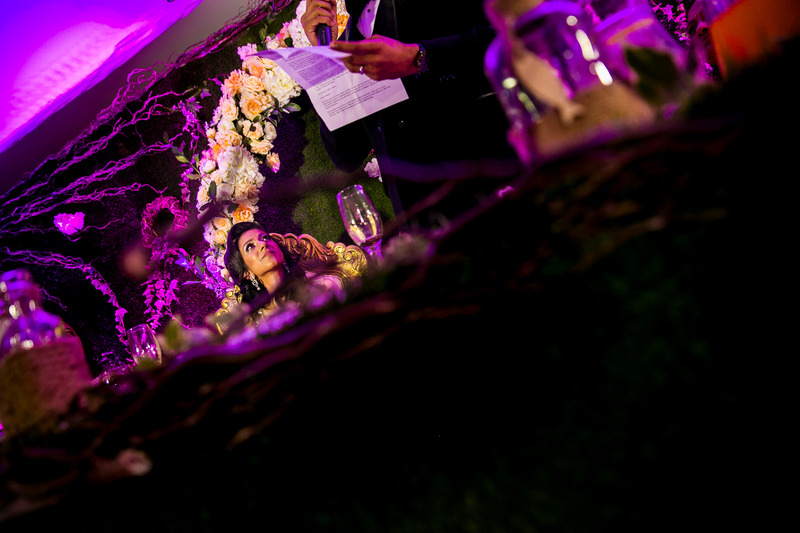 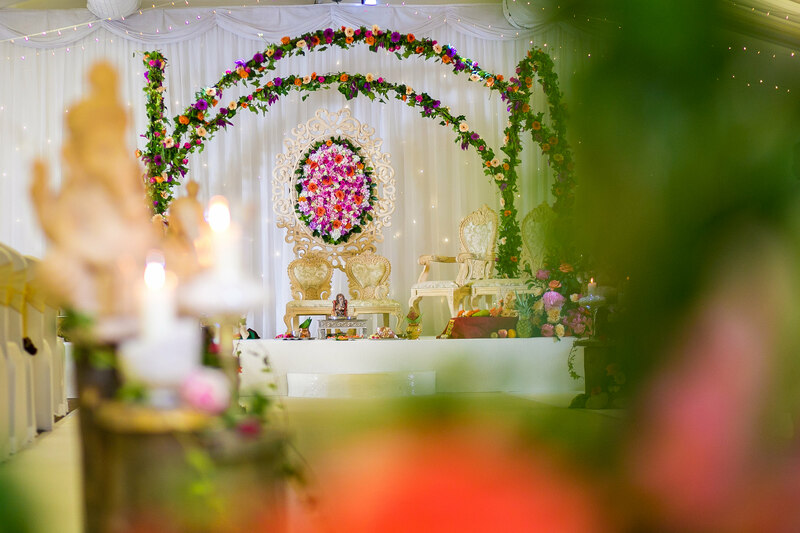 The Hindu wedding ceremony was conducted by Chanda Vyas and the decor was beautifully decorated by Om Creatives. 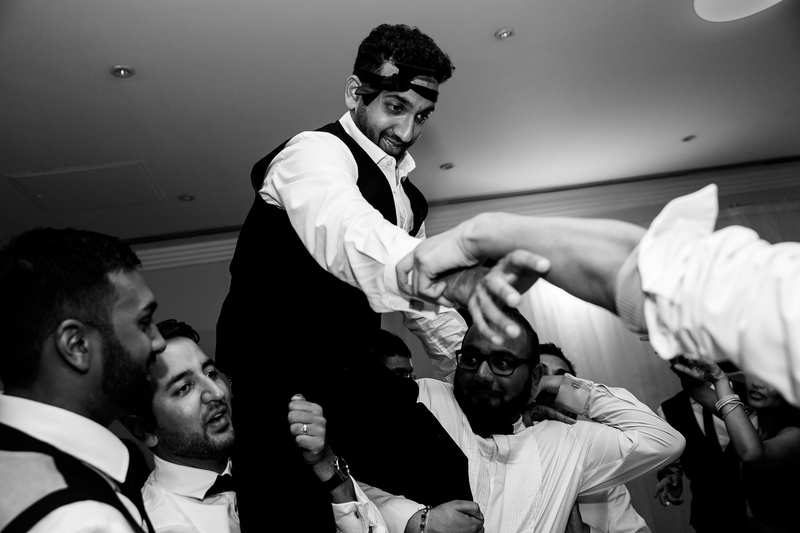 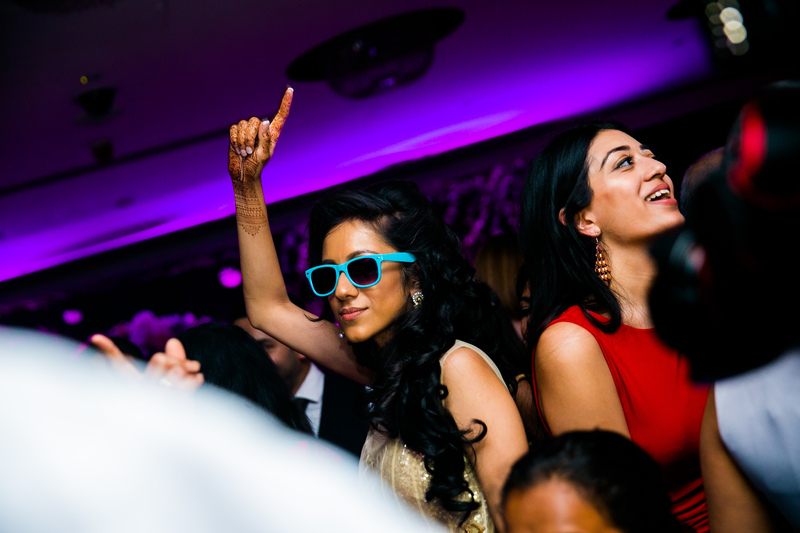 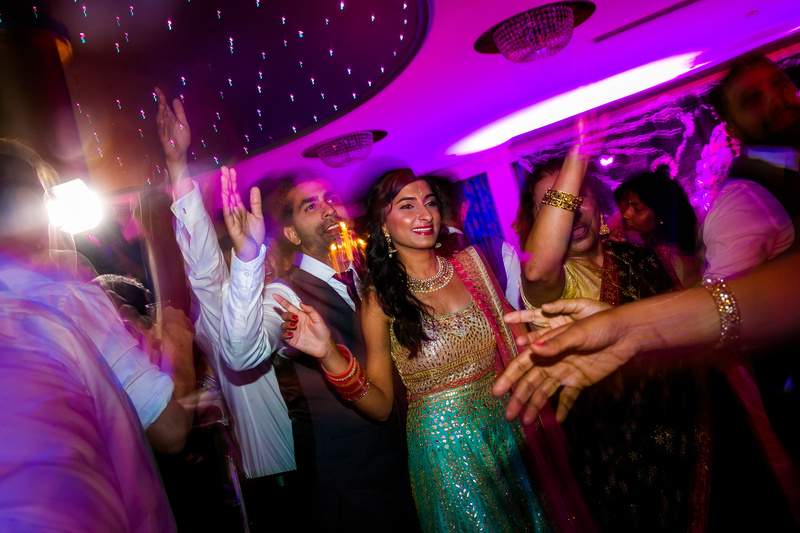 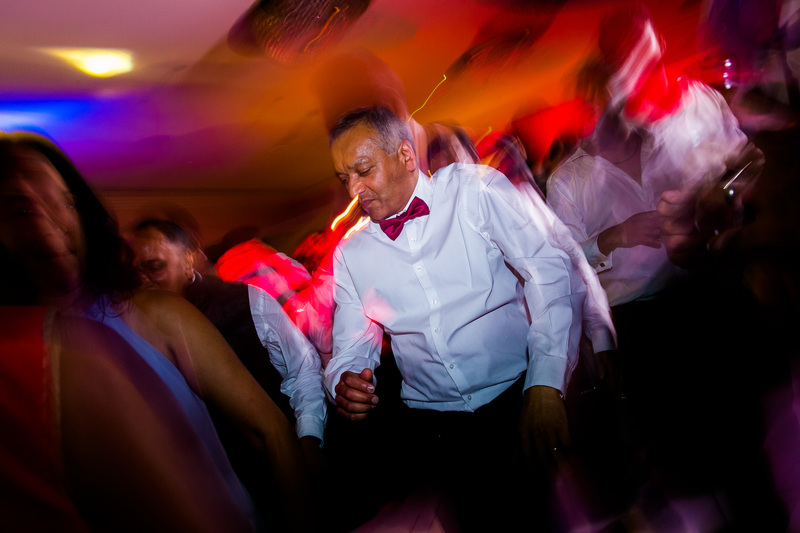 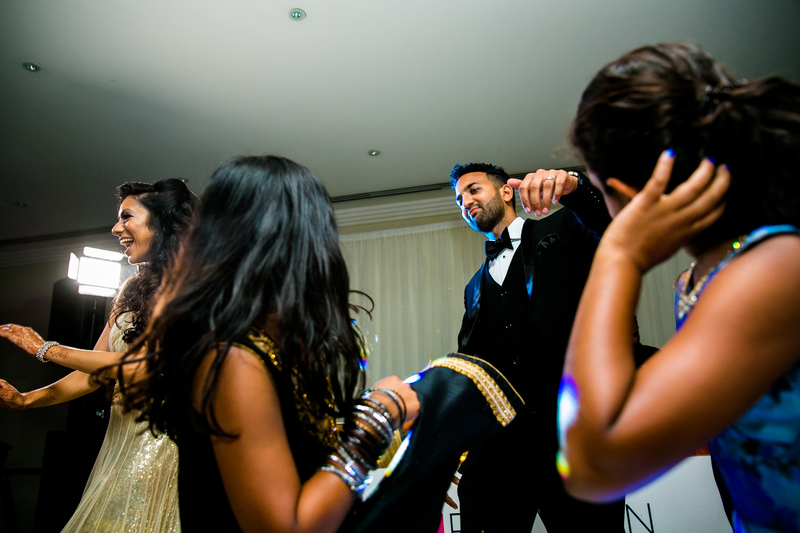 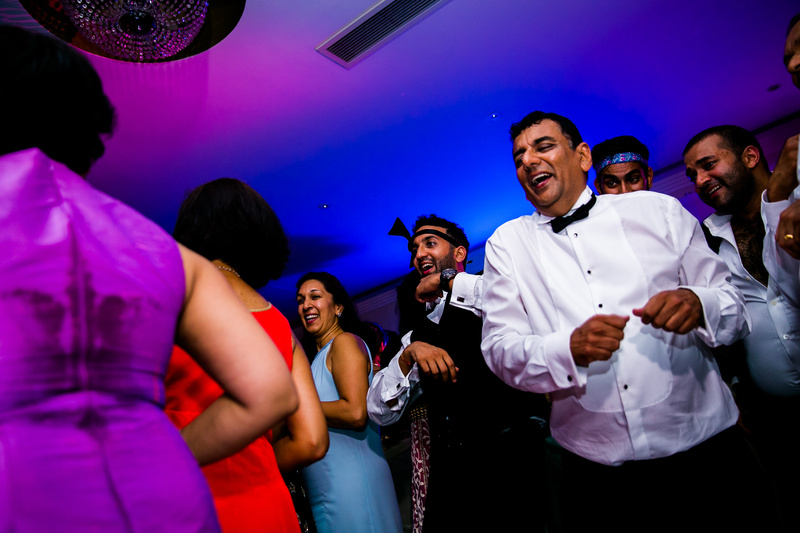 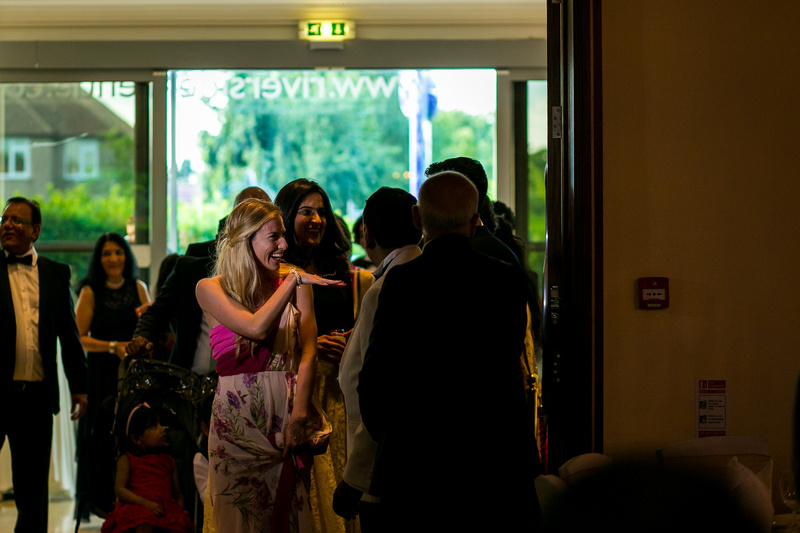 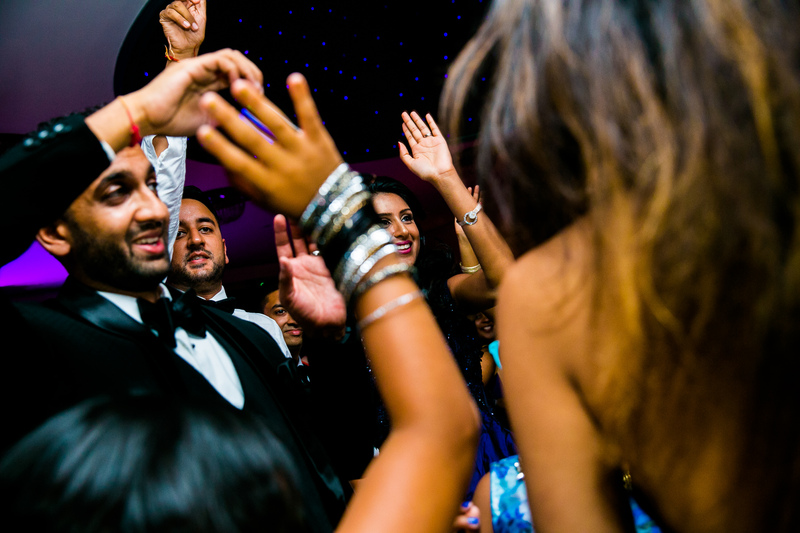 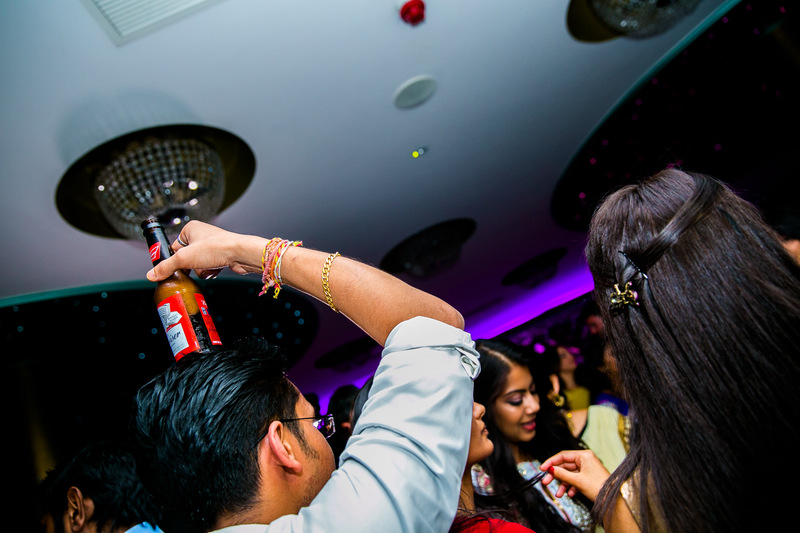 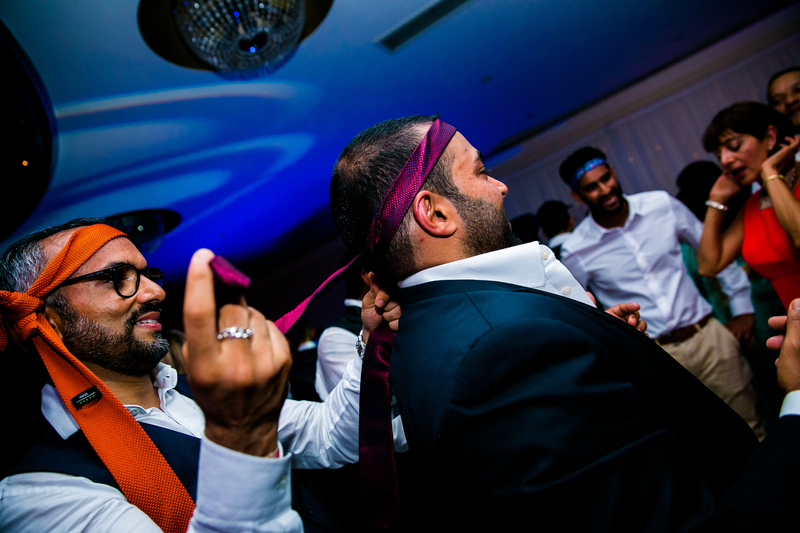 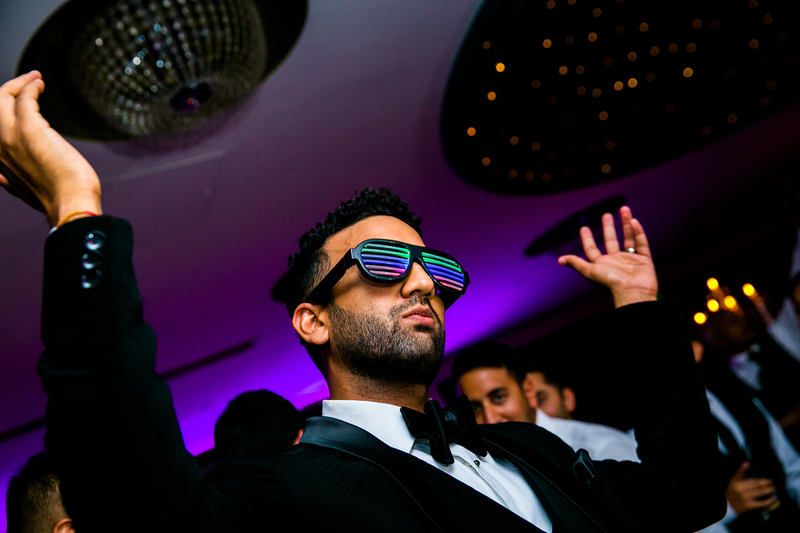 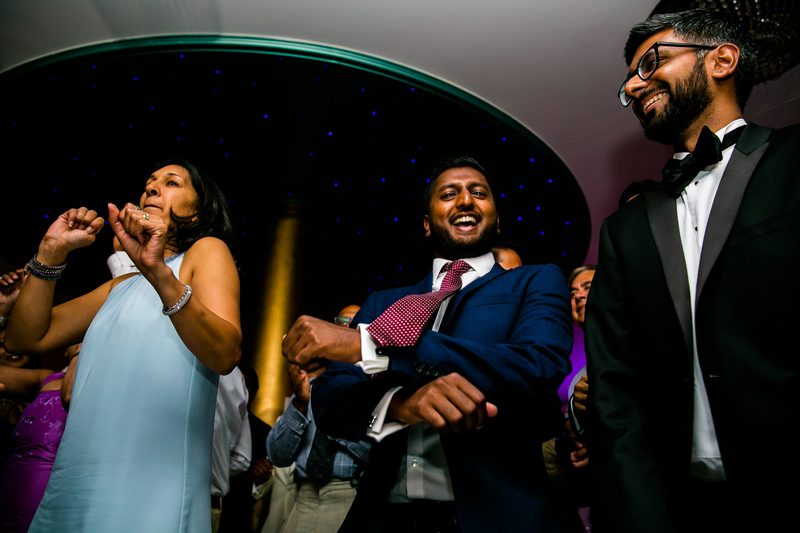 The day was quite exhausting but the fun didn’t stop there as the Reception party was held the next day at Riverside in Heathrow where a lot of funky shapes were being curved on the dancefloor! 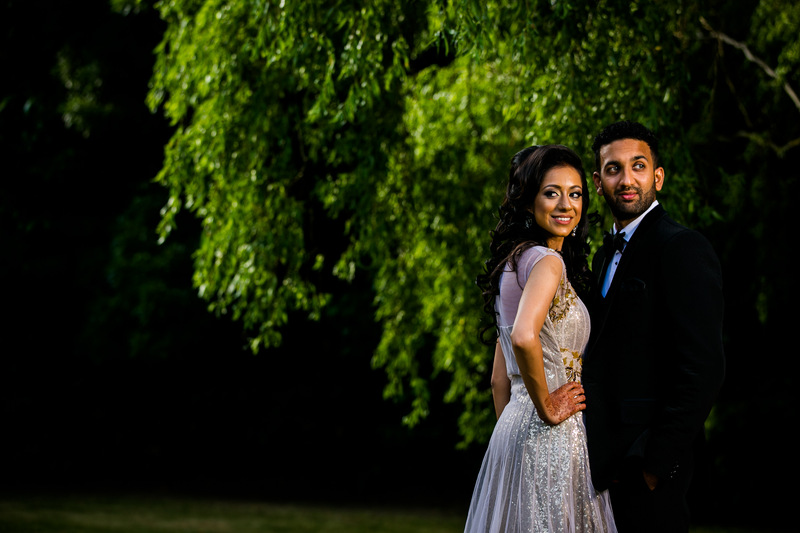 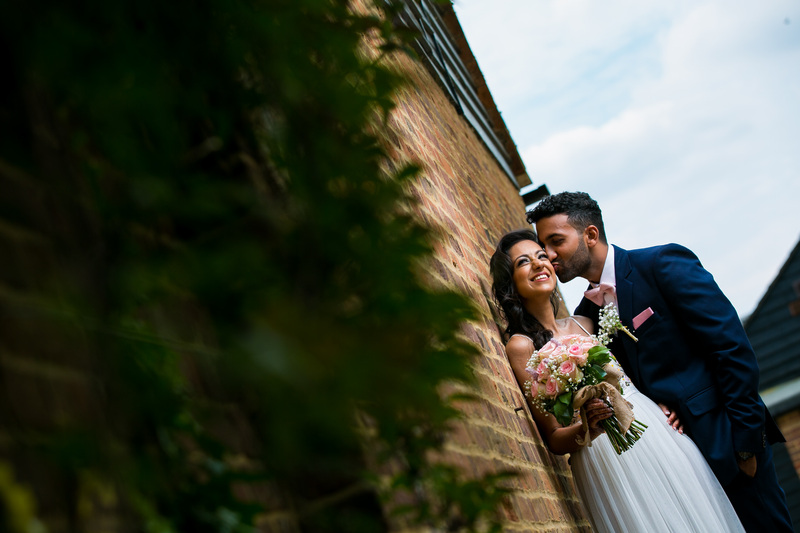 I would just like to thank Aarti & Tiral for choosing me to capture their special day and would like to wish you all the best for the future.